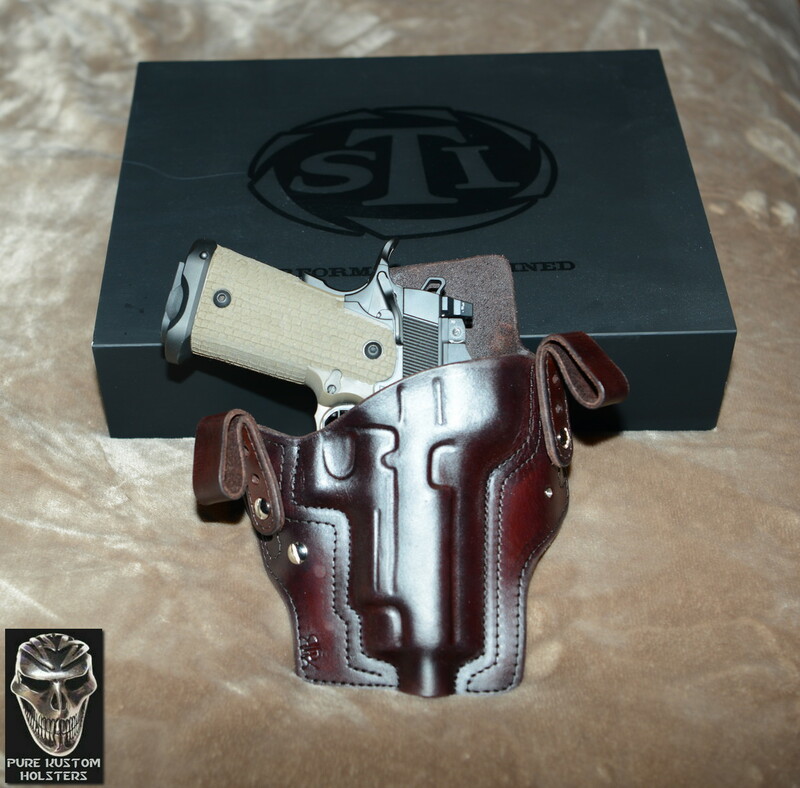 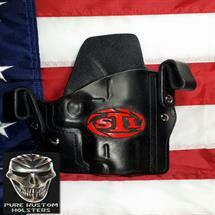 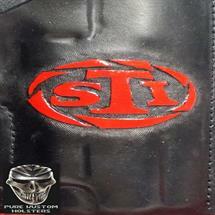 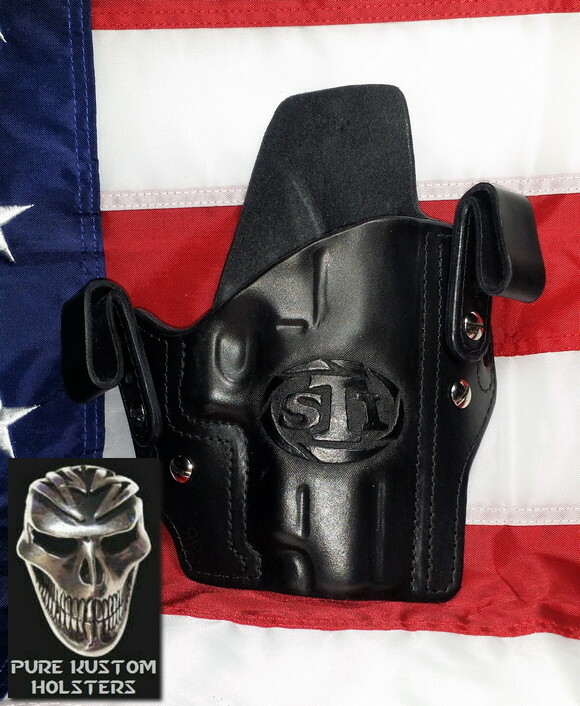 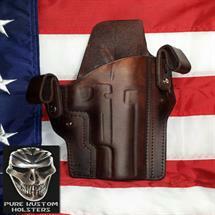 Welcome to STI Holsters by Pure Kustom Holsters. 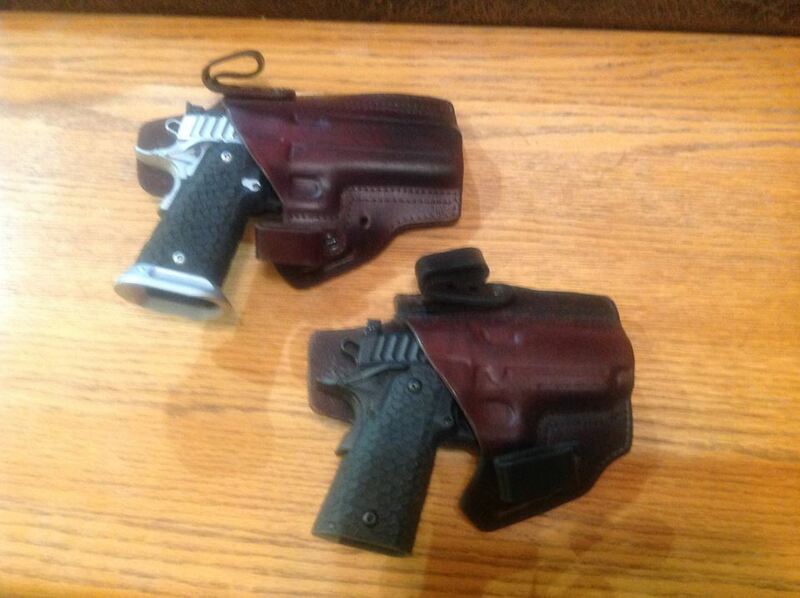 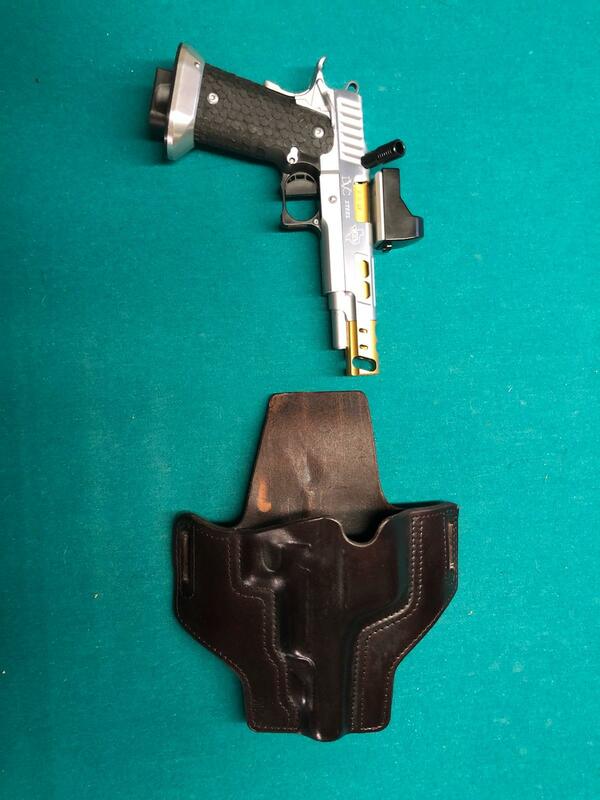 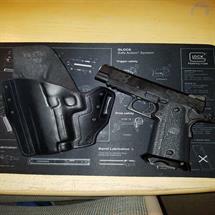 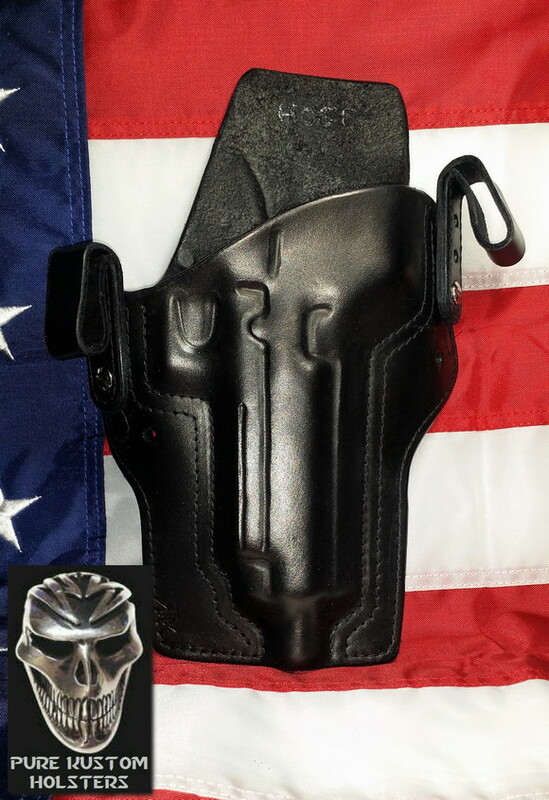 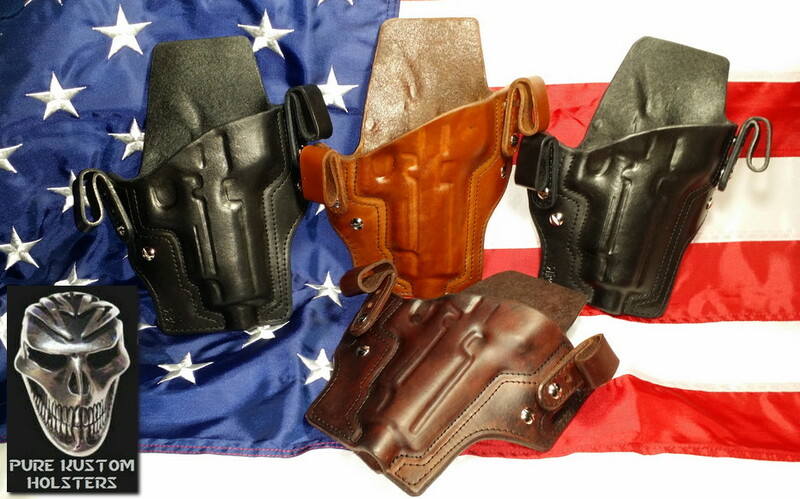 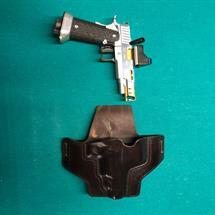 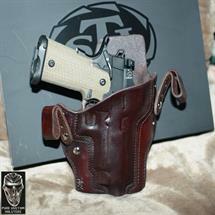 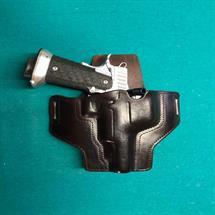 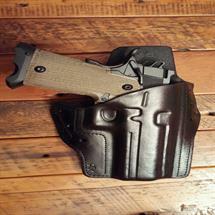 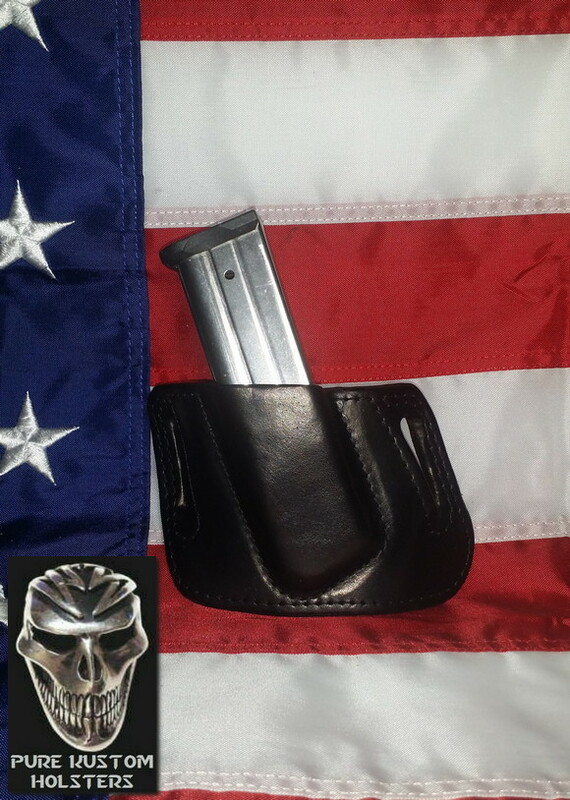 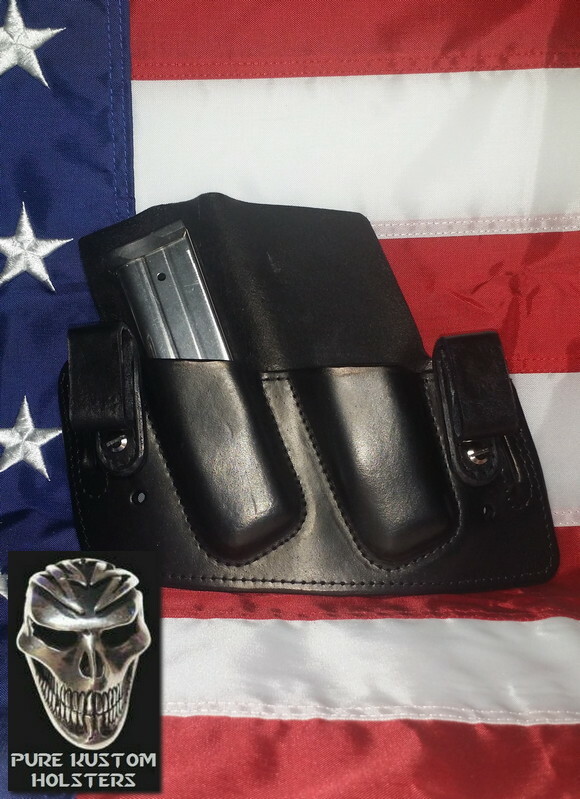 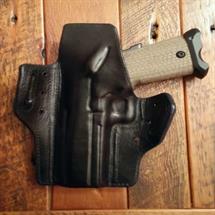 My holsters are multi use holsters, they can be used IWB and OWB and adjustable. I also now have a shoulder harness option that will work with any of my holsters, past or present. 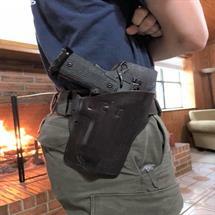 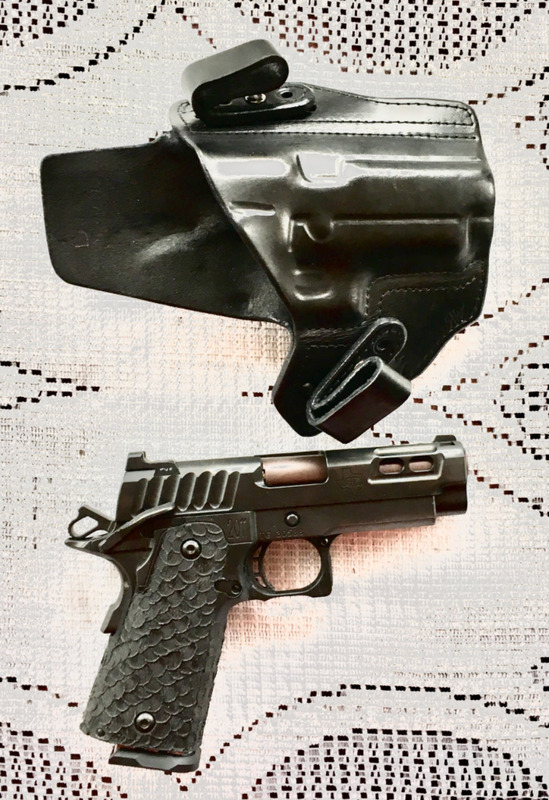 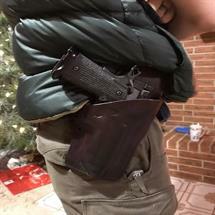 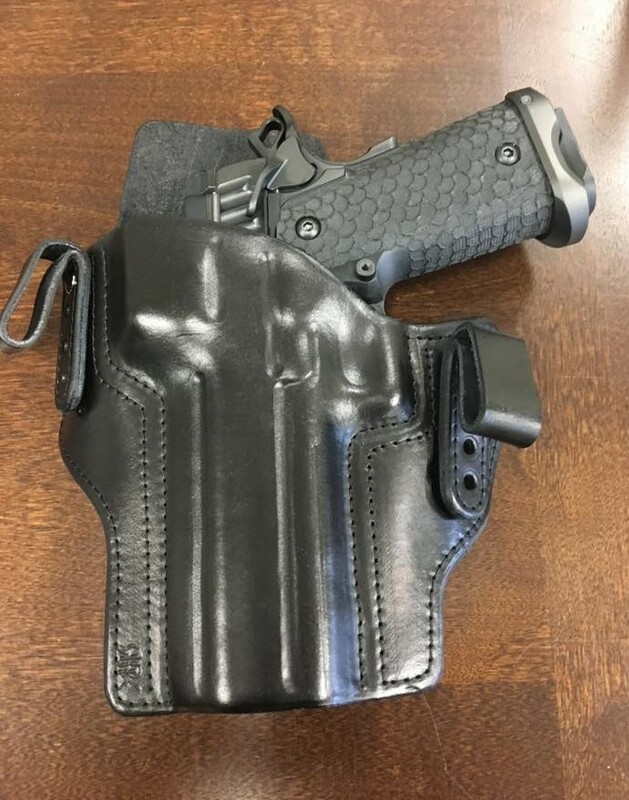 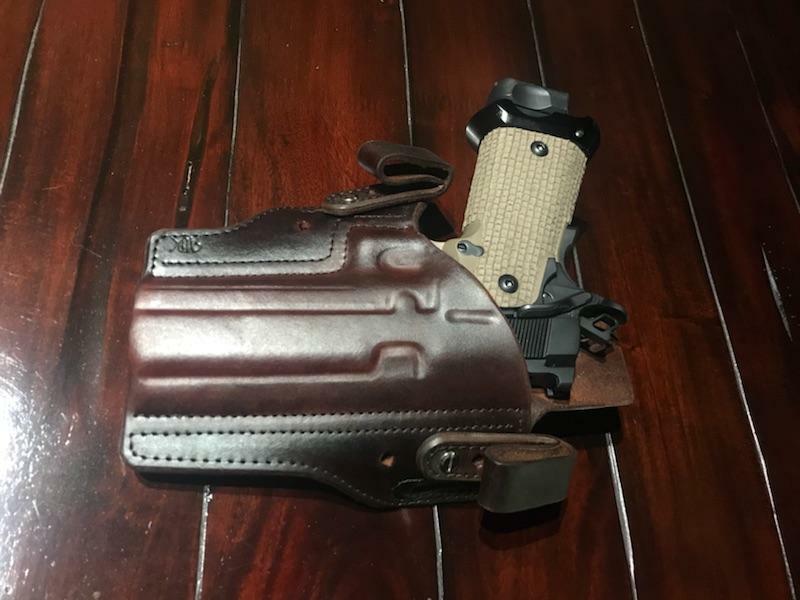 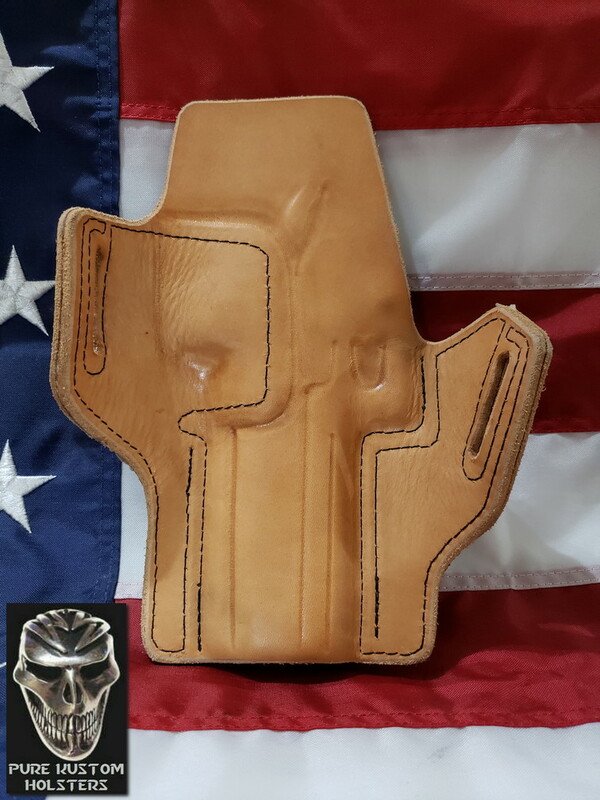 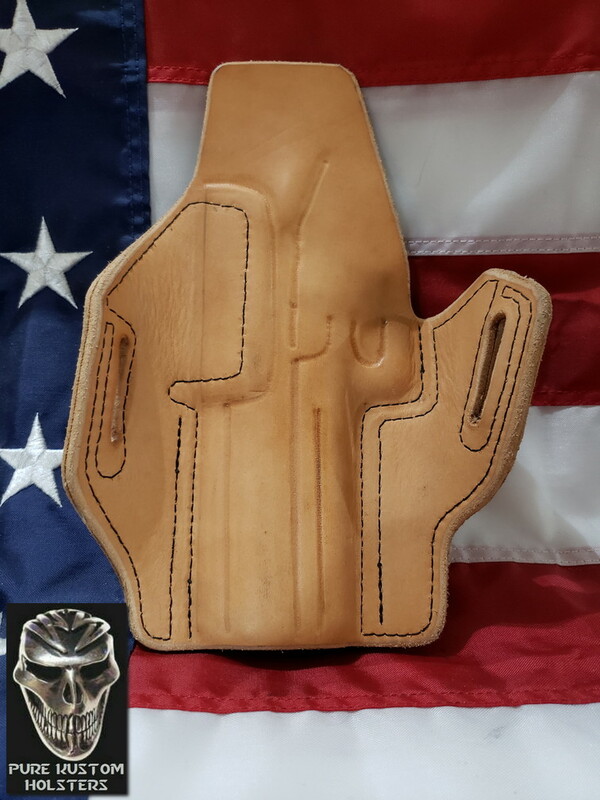 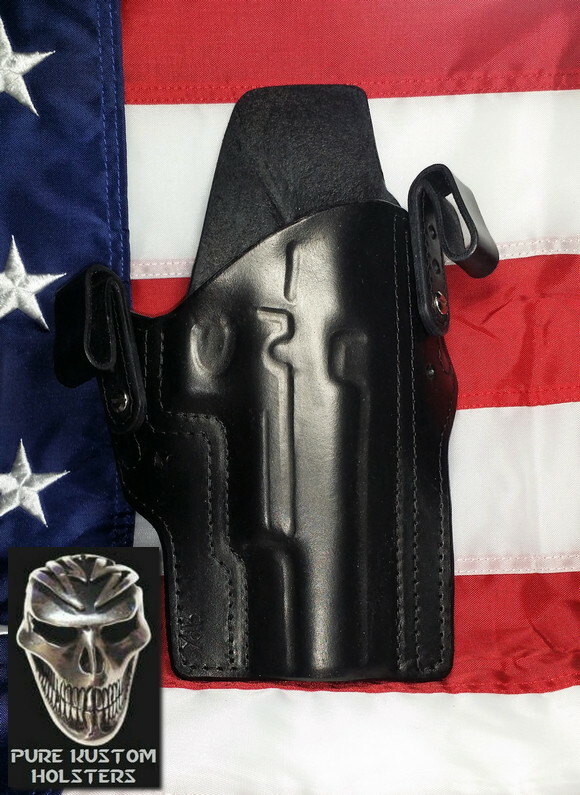 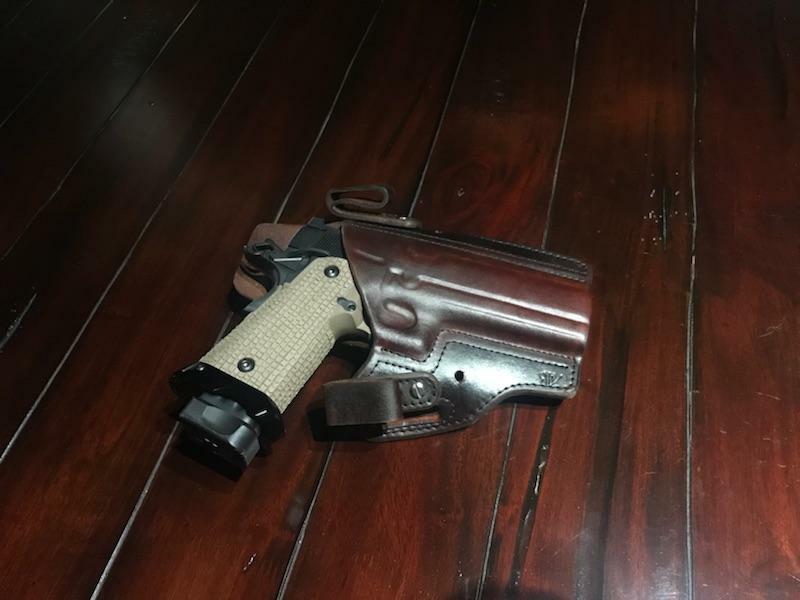 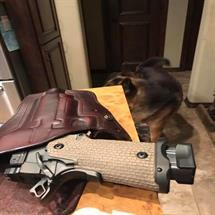 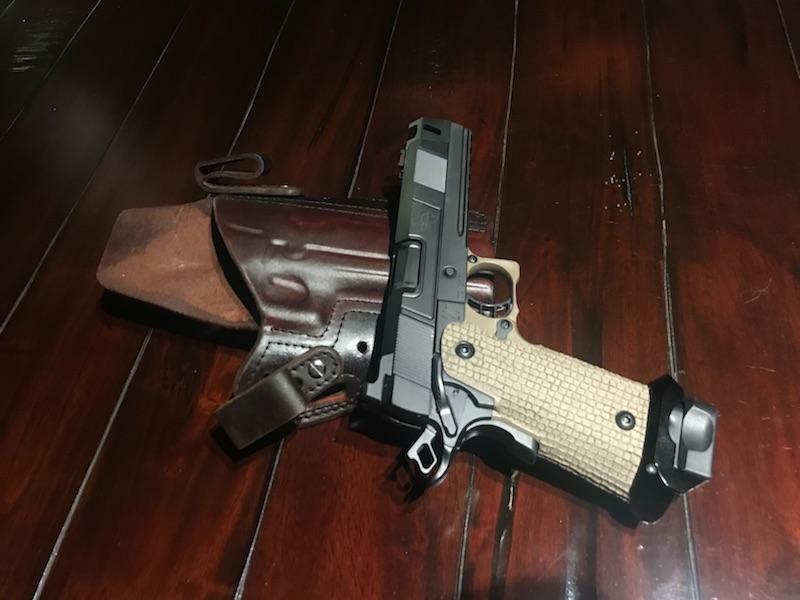 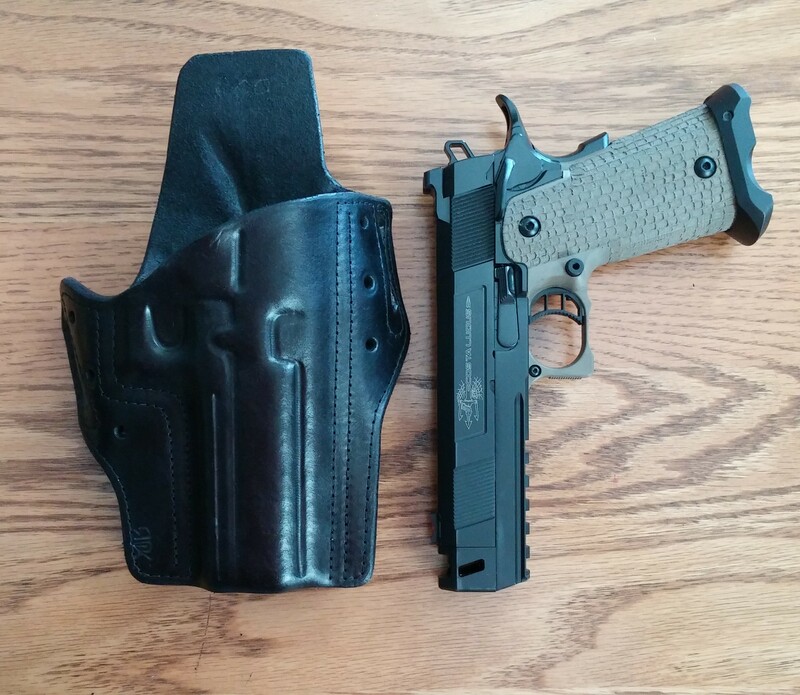 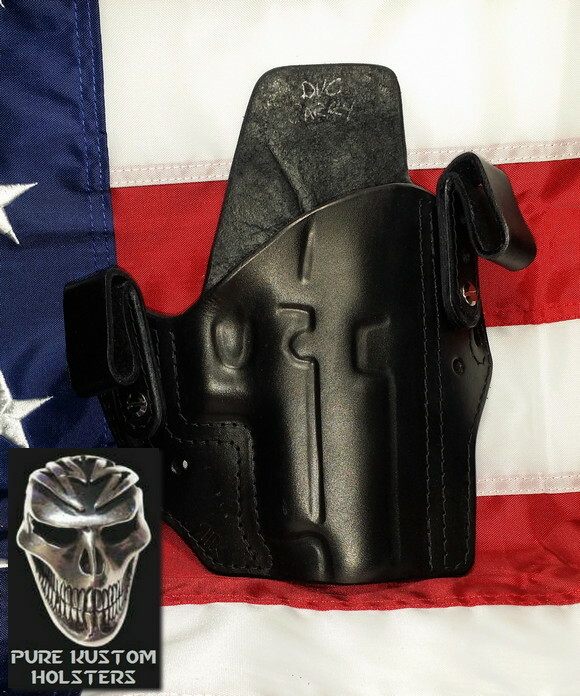 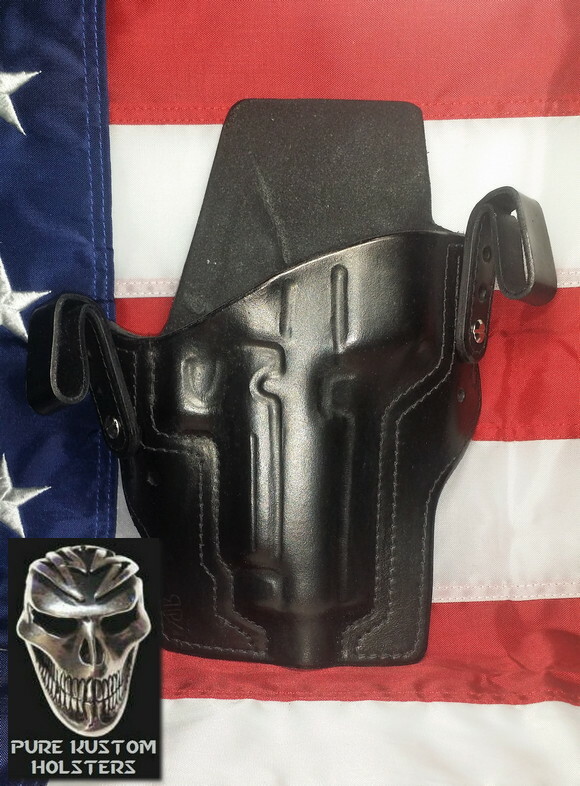 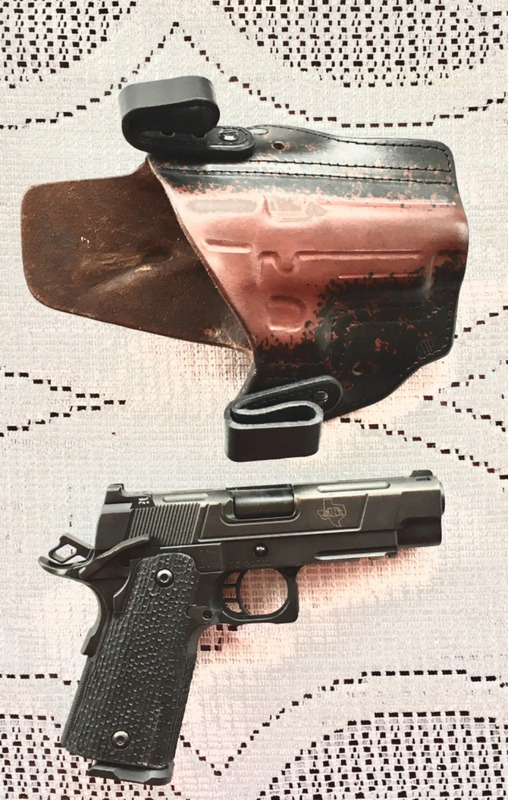 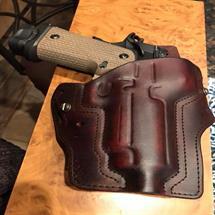 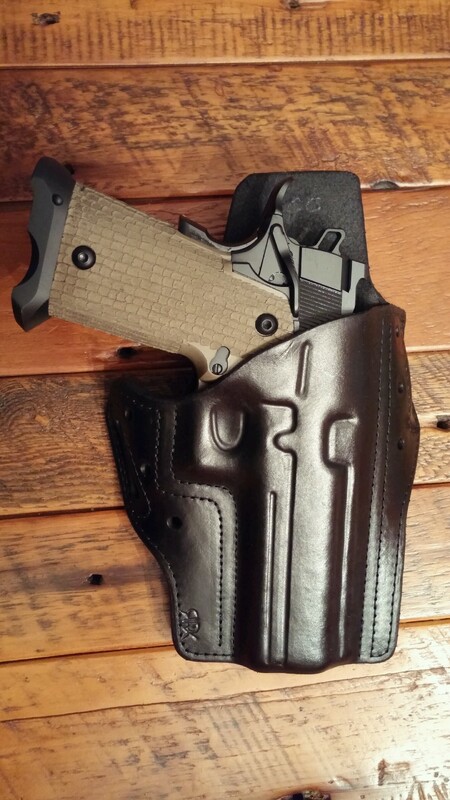 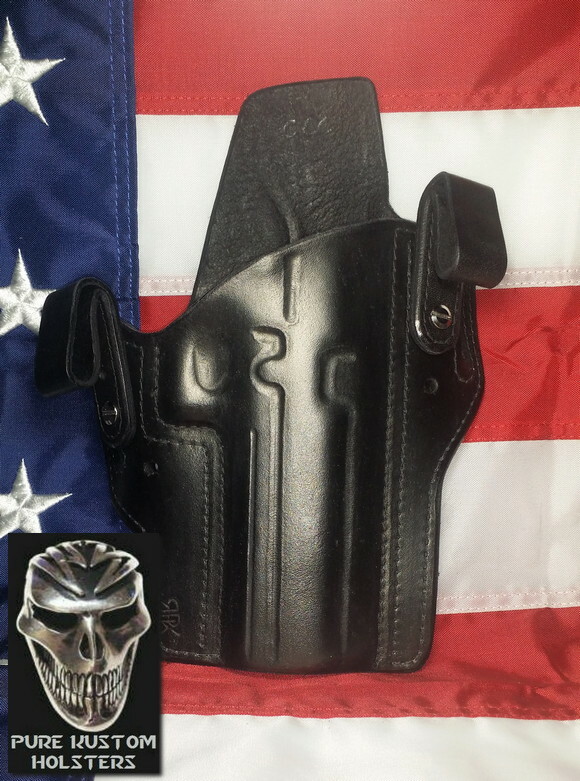 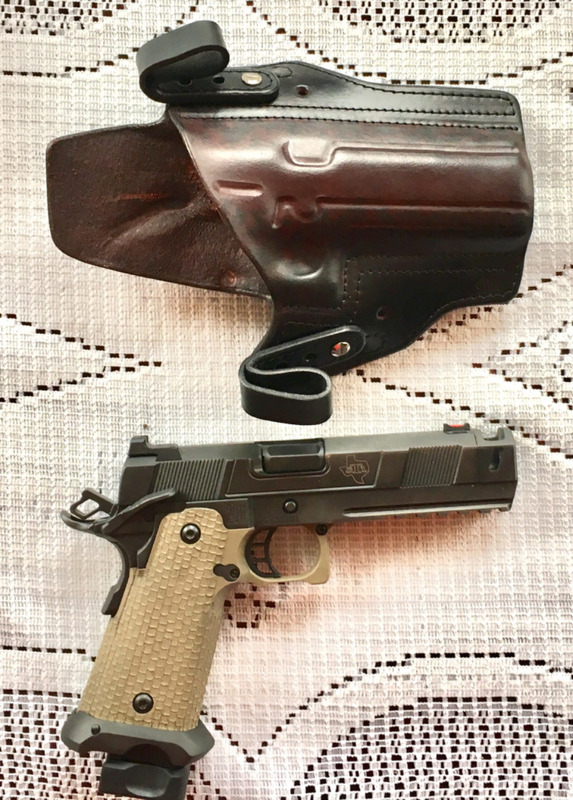 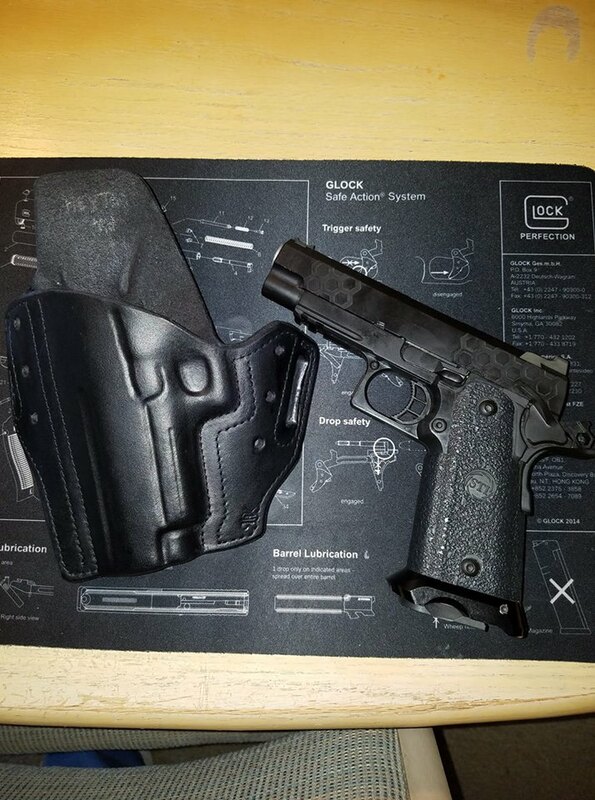 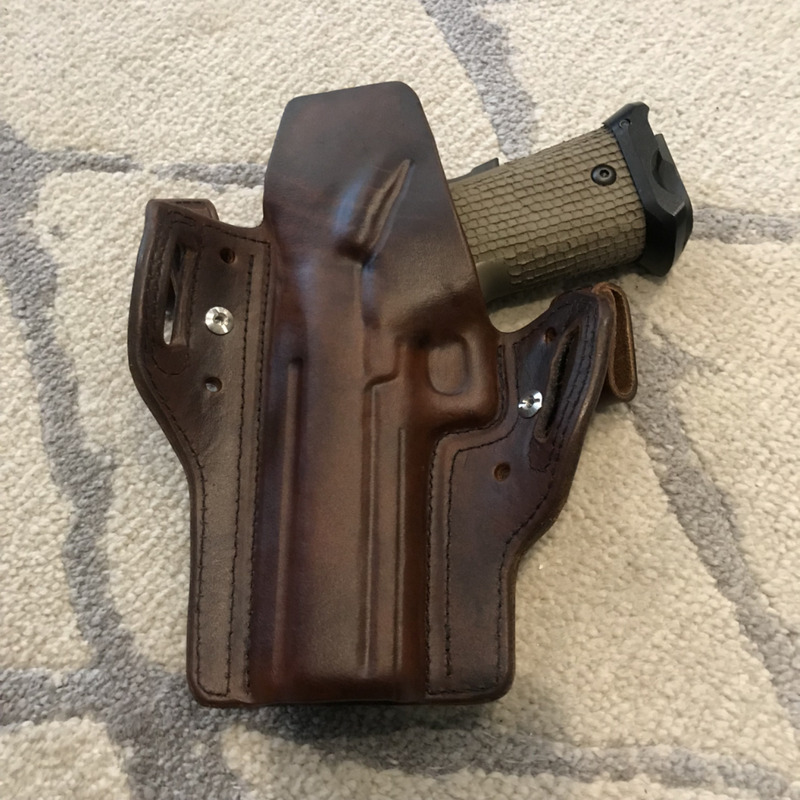 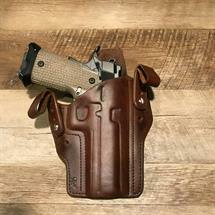 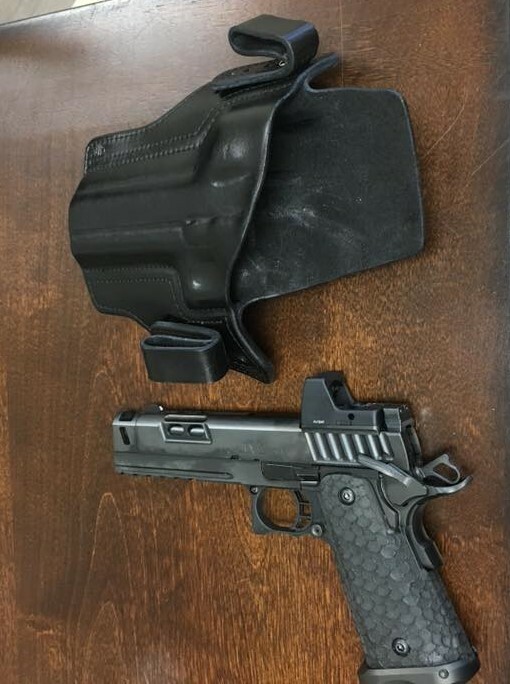 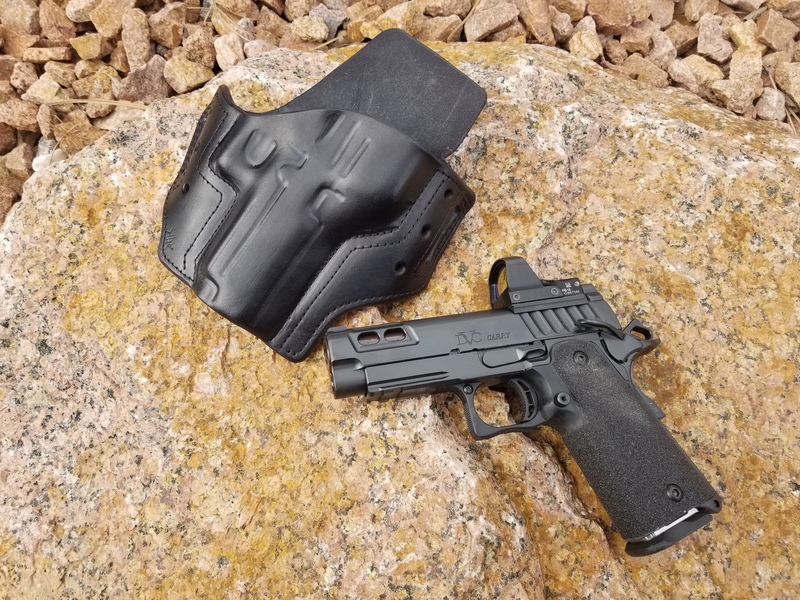 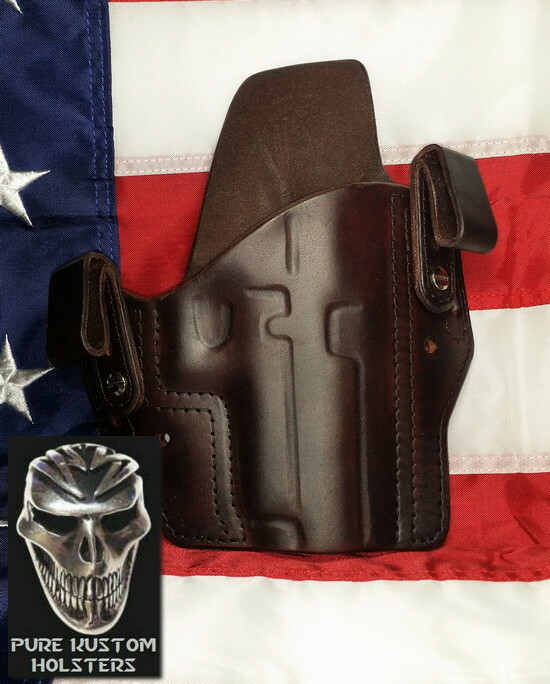 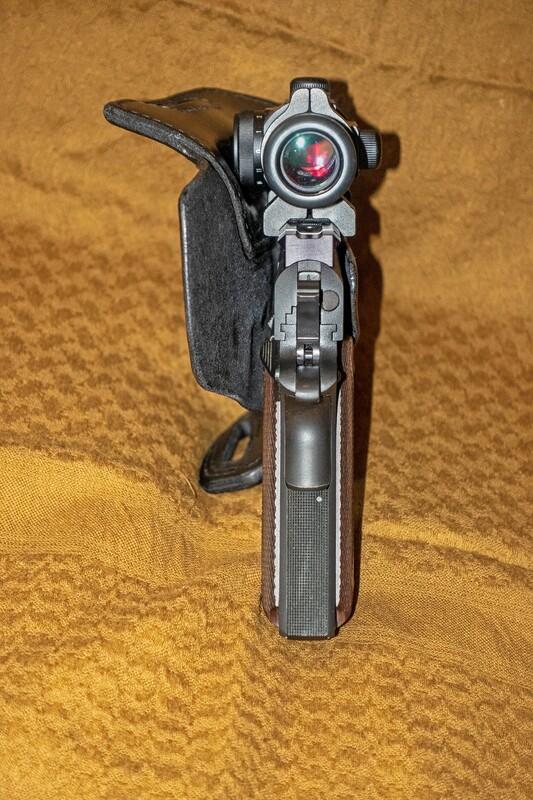 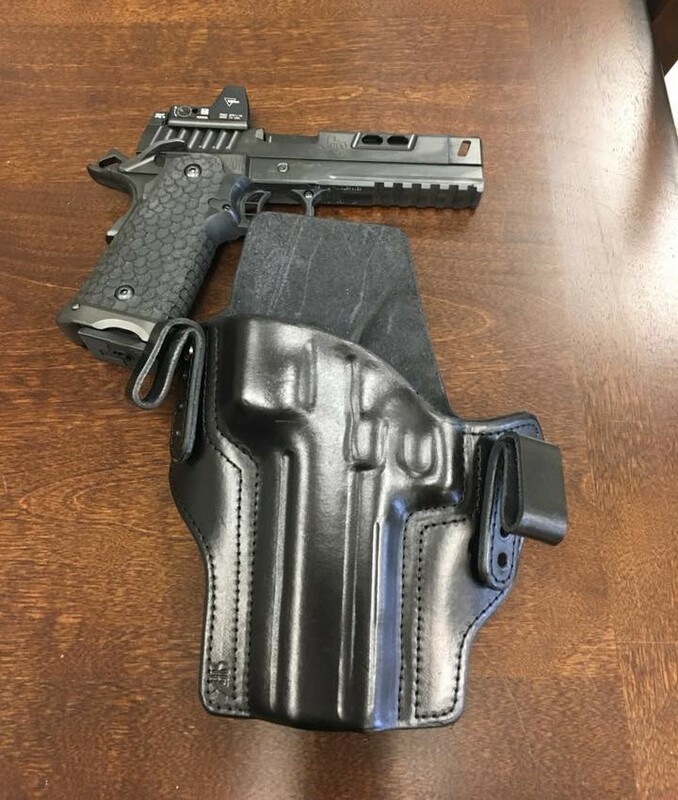 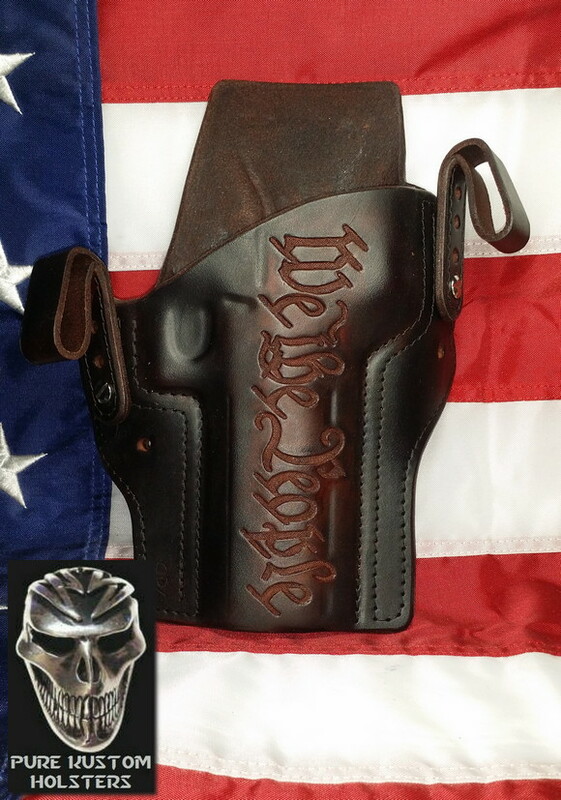 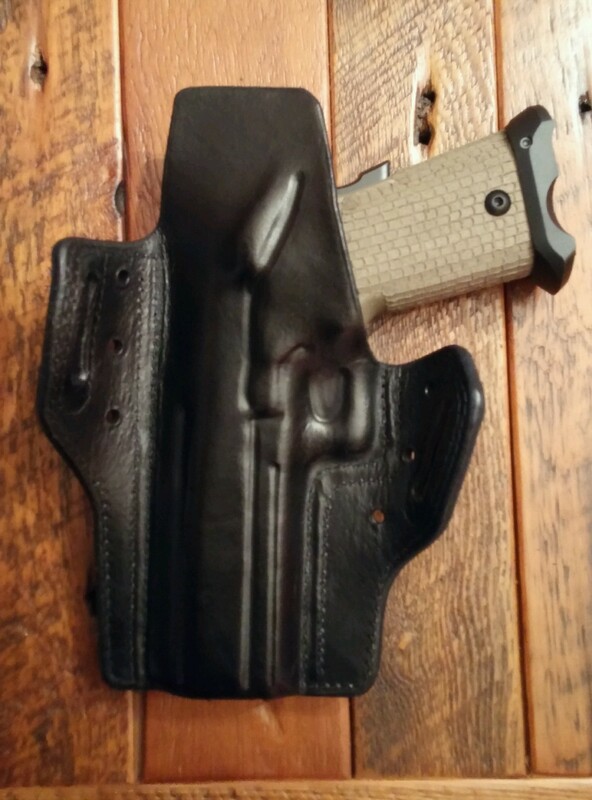 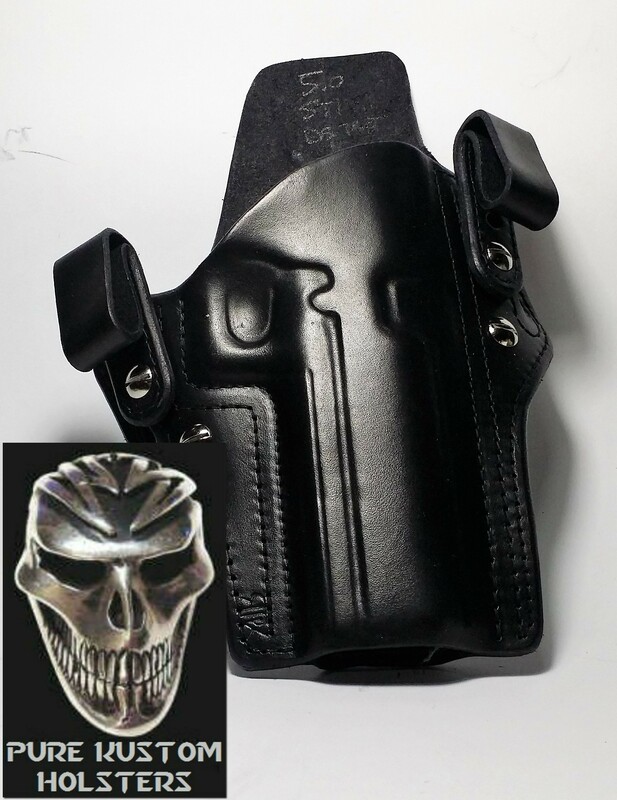 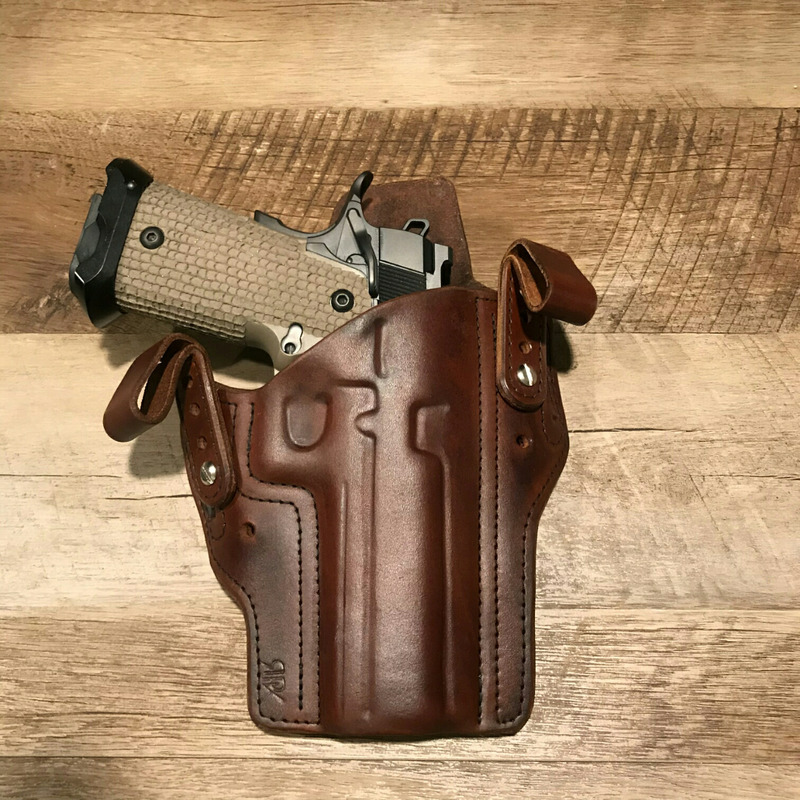 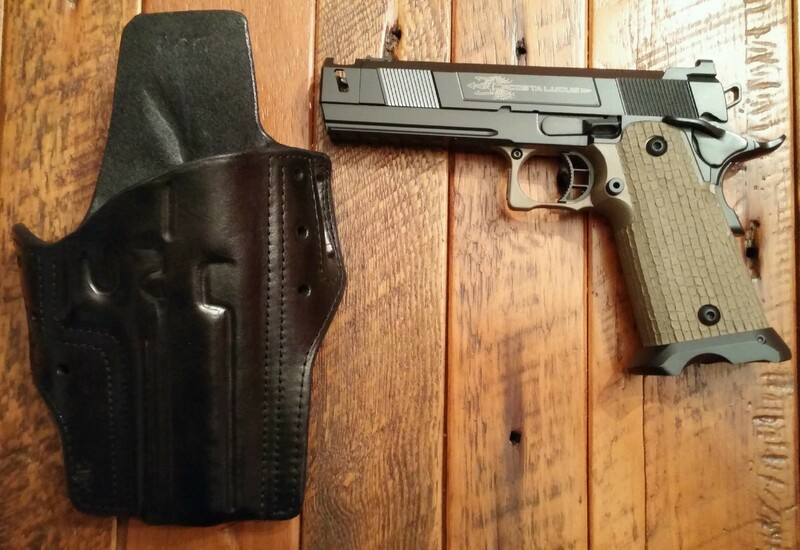 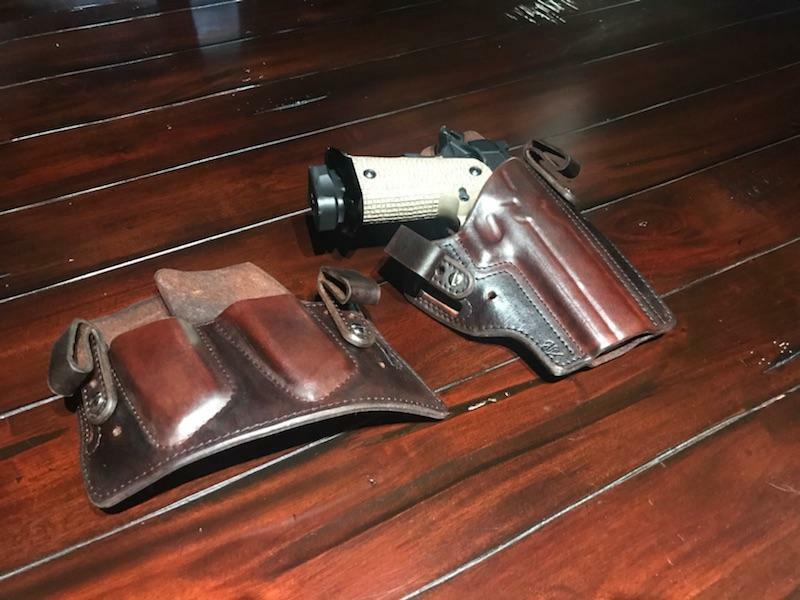 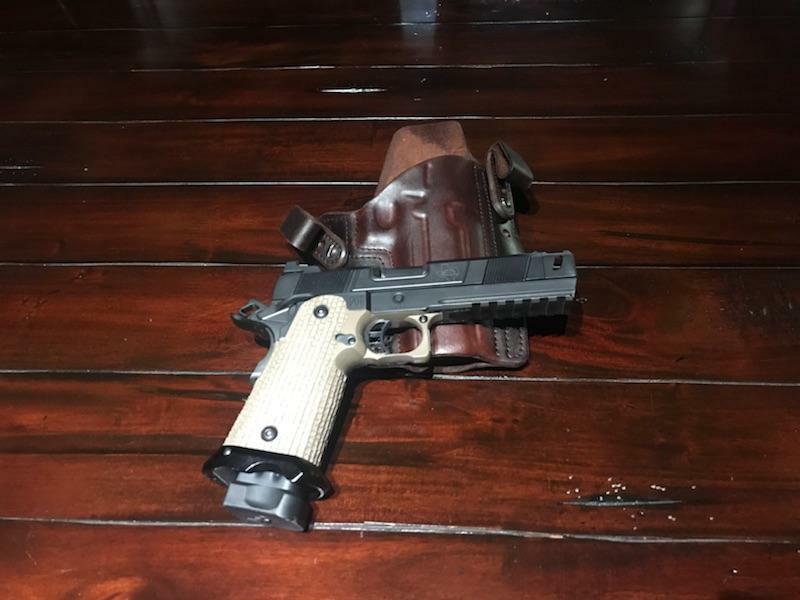 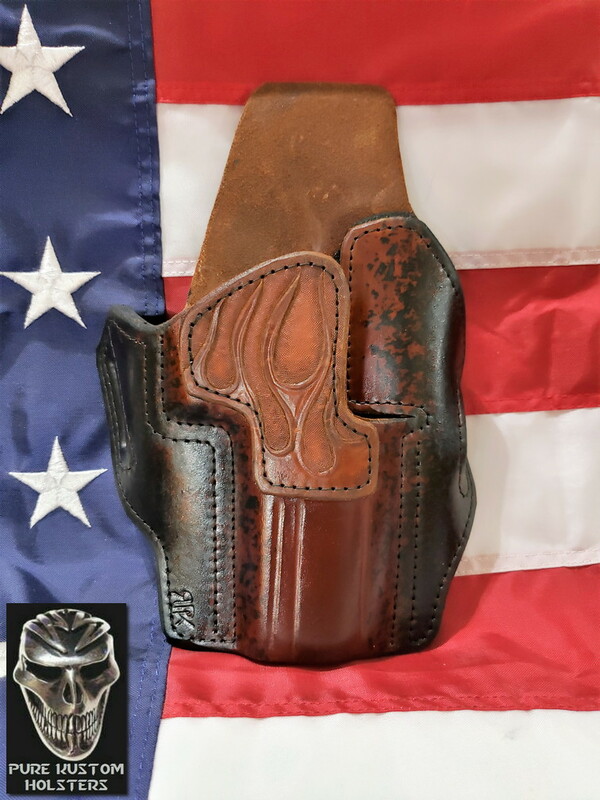 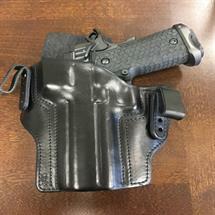 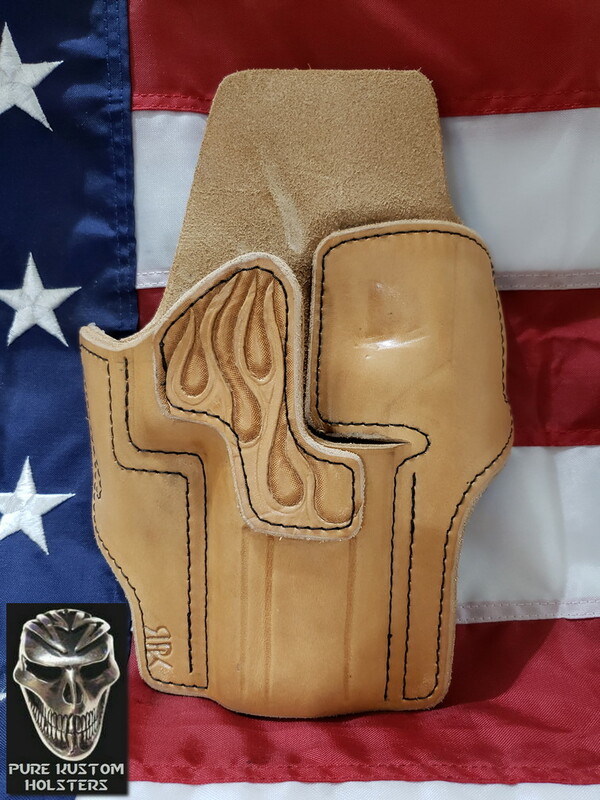 My holsters are hardened like Kydex but called (COWDEX) so they keep there shape and are very thin 1/8 over and behind the firearm for your comfort. 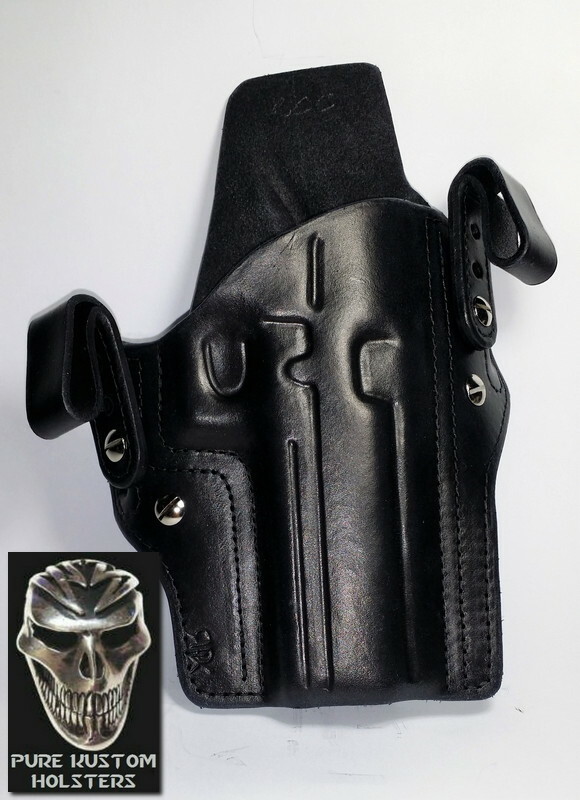 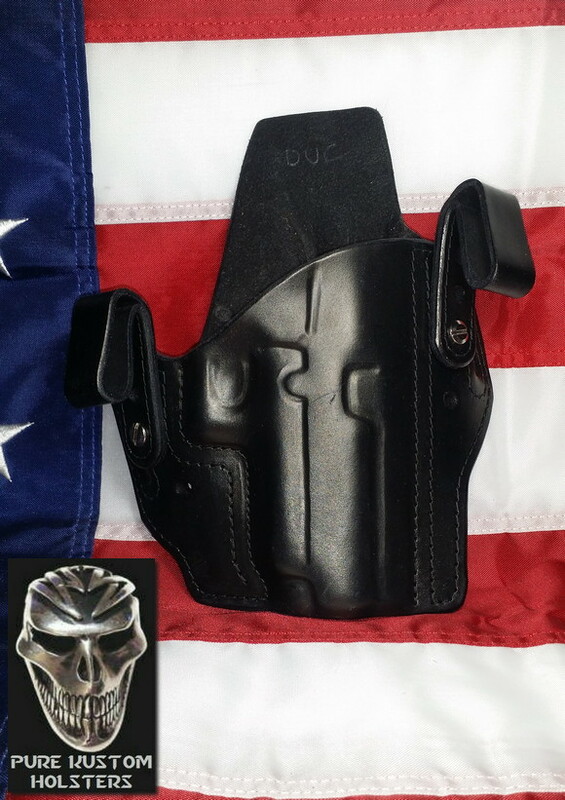 The "Black Ops Pro" style ( it's both IWB & OWB and adjustable.) 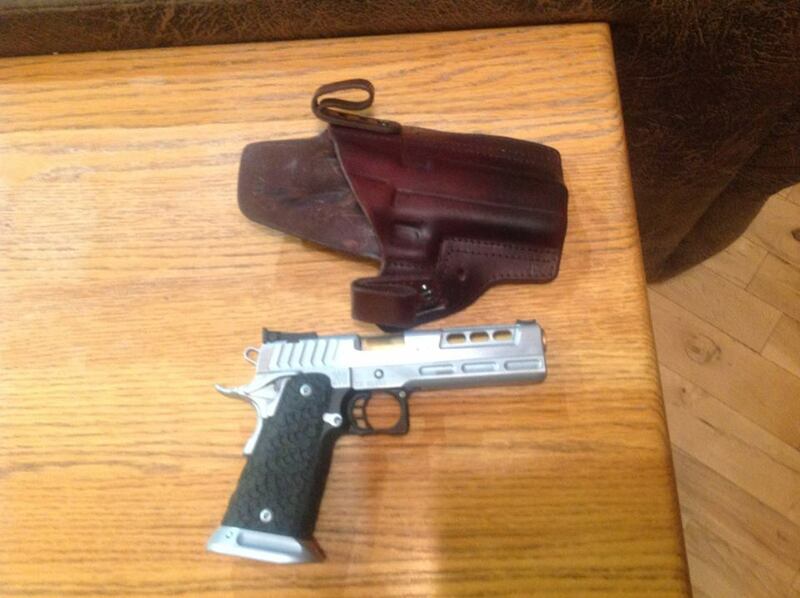 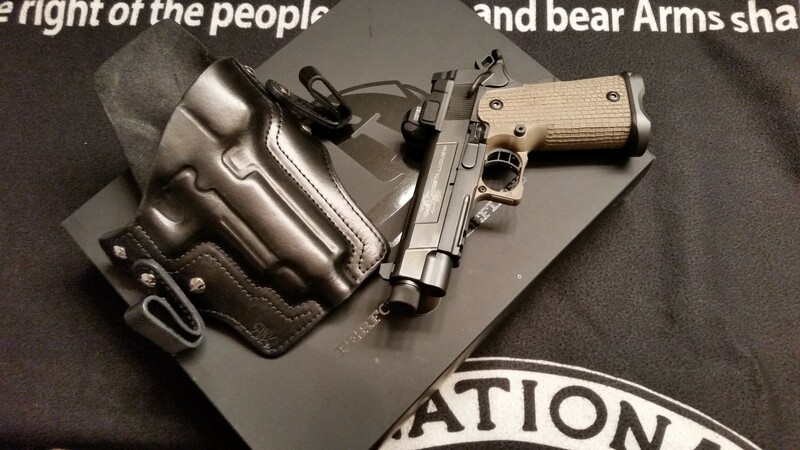 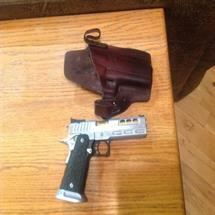 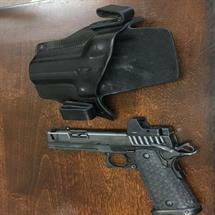 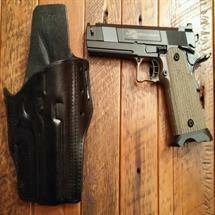 1911's are 200.00 and 2011's are 225.00 and up depending on firearm and Accessories +18.00 for shipping and insurance. 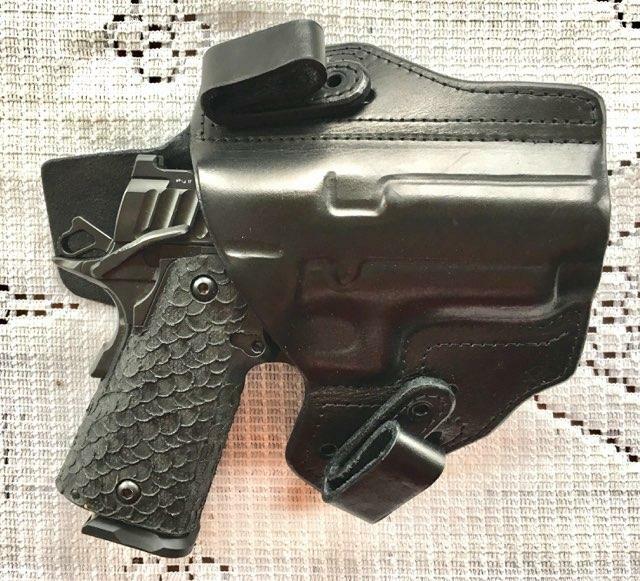 The "Special Ops Pro" style ( it's the best choice for Apendix, it also can be used for Strong side carry and adjustable.) 1911's are 200.00 and 2011's are 225.00 and up depending on firearm and Accessories +18.00 for shipping and insurance. 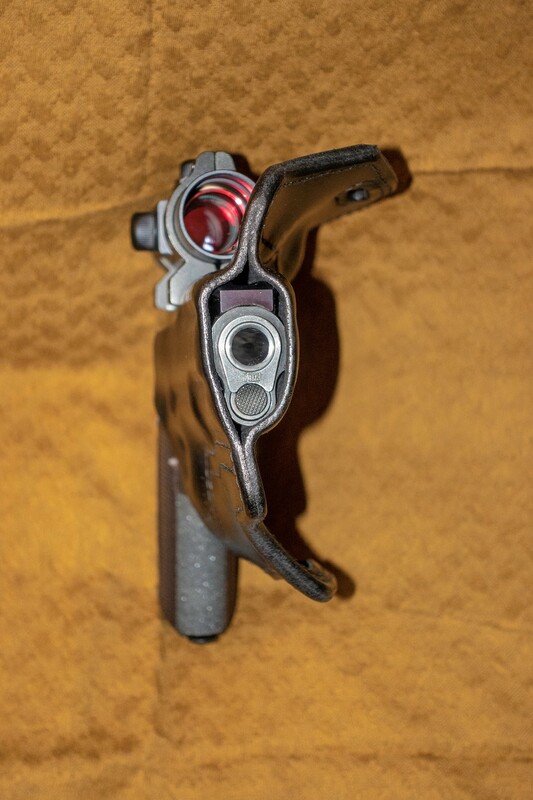 The "Quick Clips" are my answer to fast on and off. 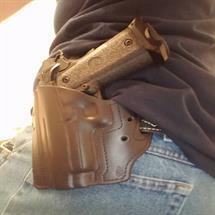 Especially if you carry appendix due to the double belt thickness up front. 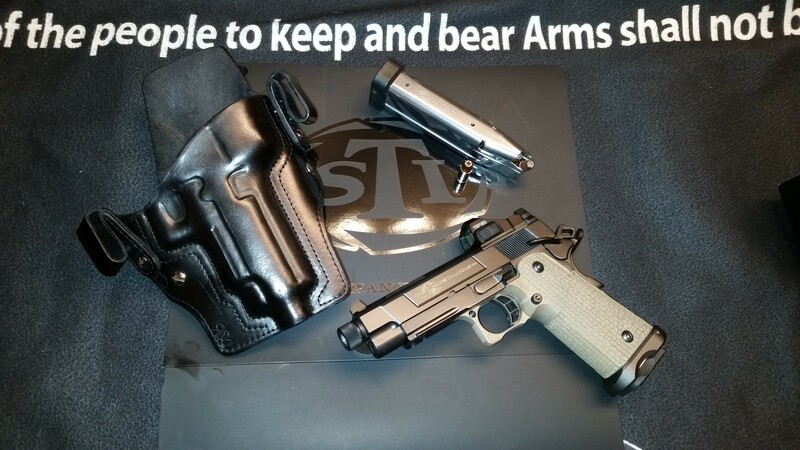 But works both strong side or appendix. Quick clips are 45.00 a set with hardware. + 6.50 for shipping. 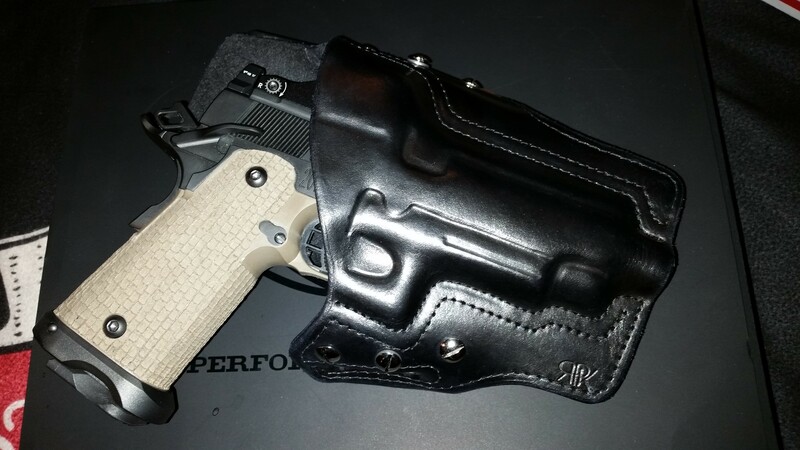 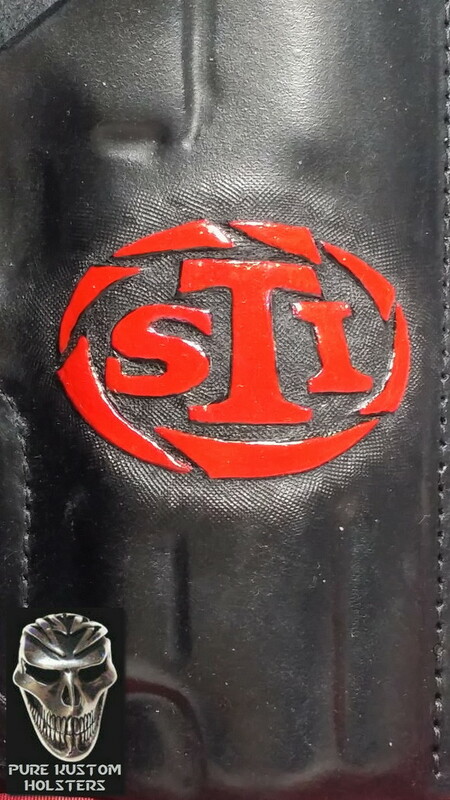 I try to have an inventory of most STI Holsters. 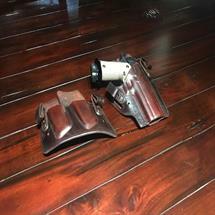 So please call if you don't see what you are looking for. 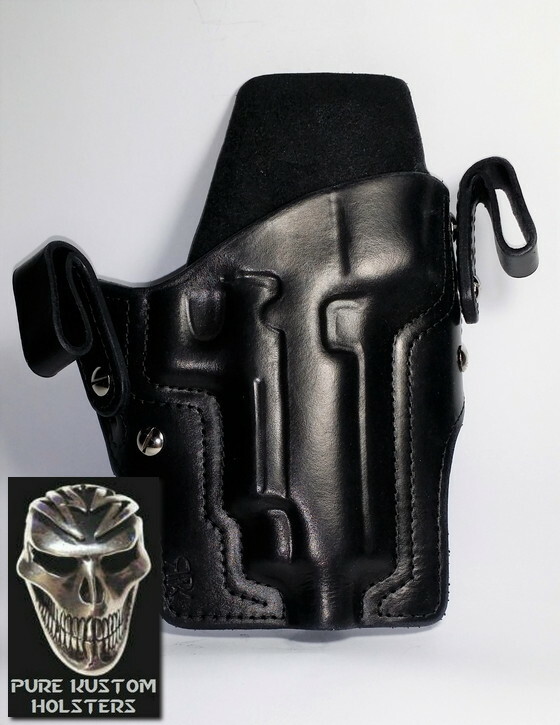 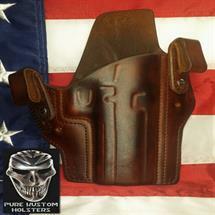 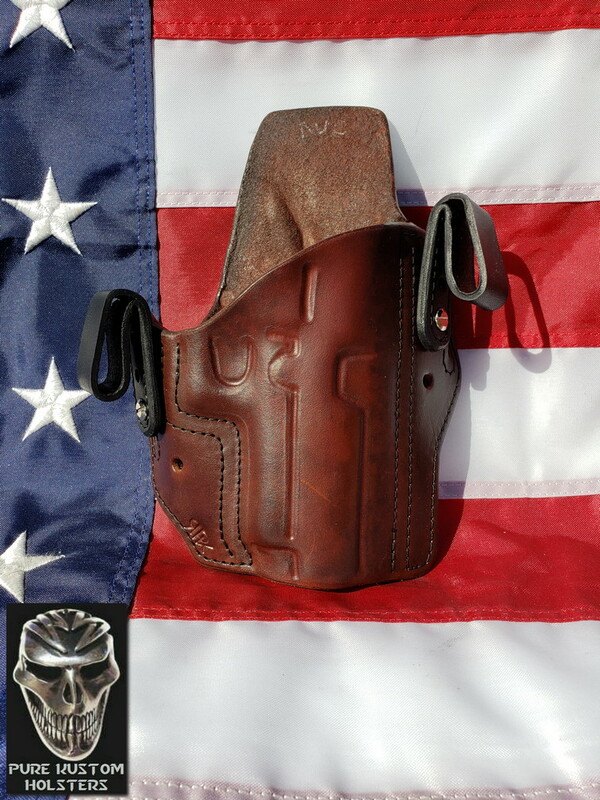 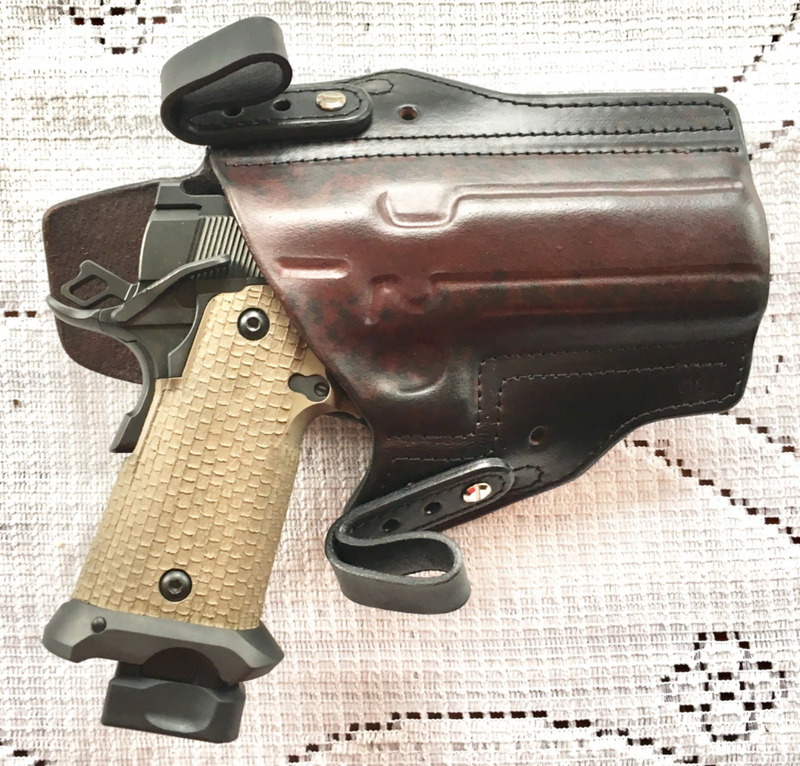 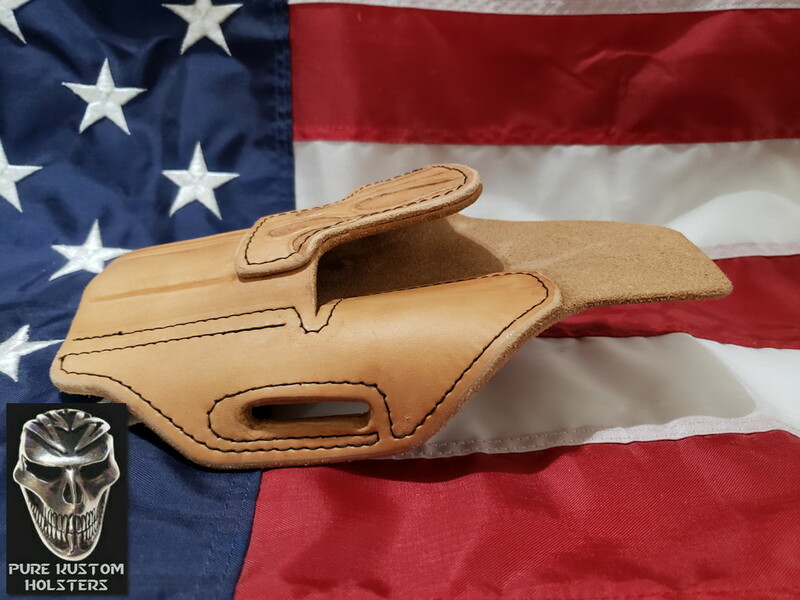 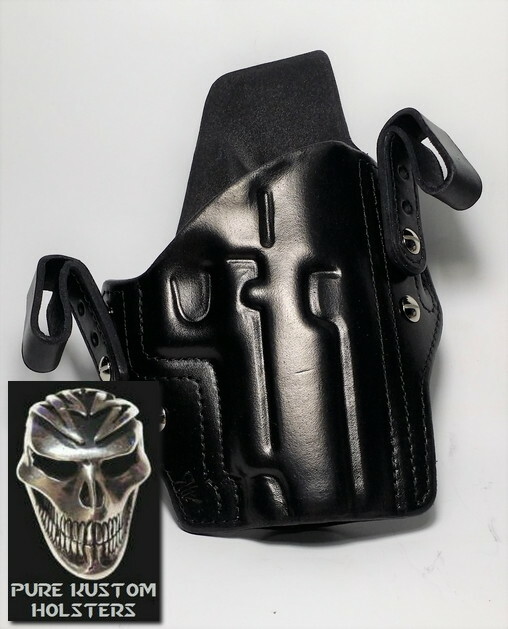 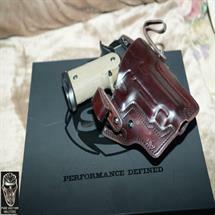 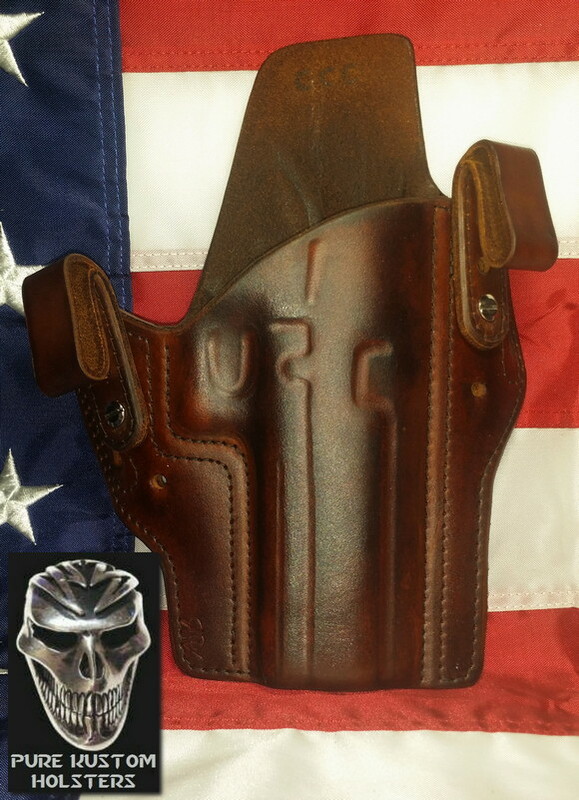 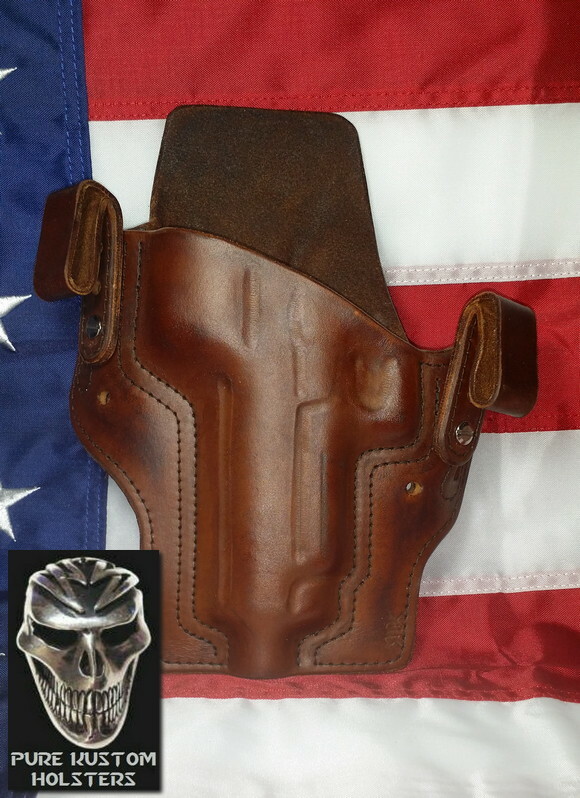 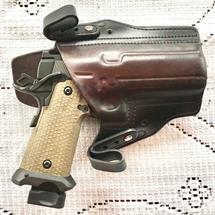 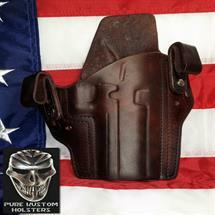 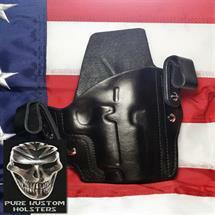 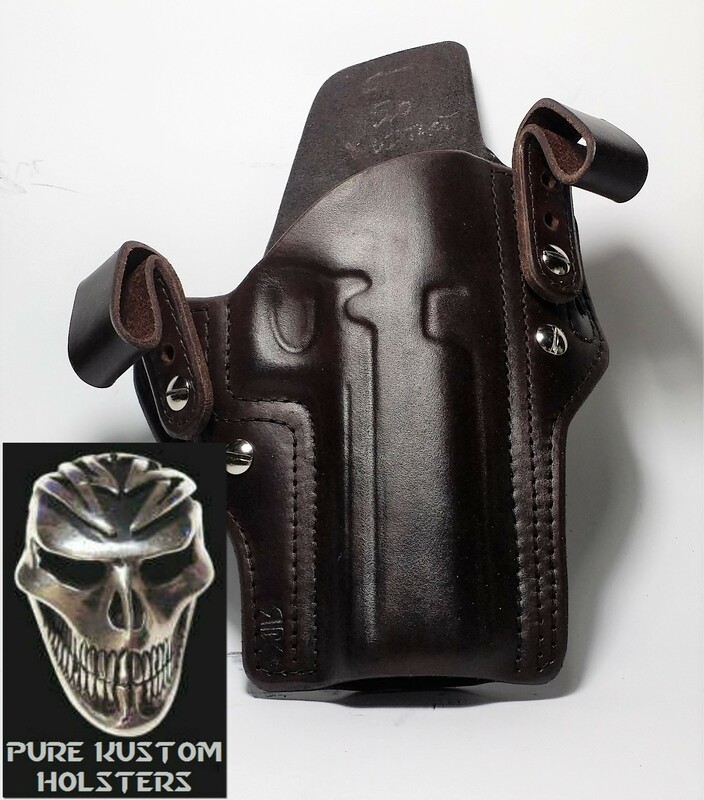 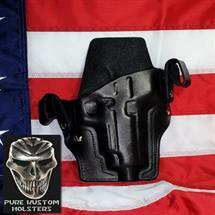 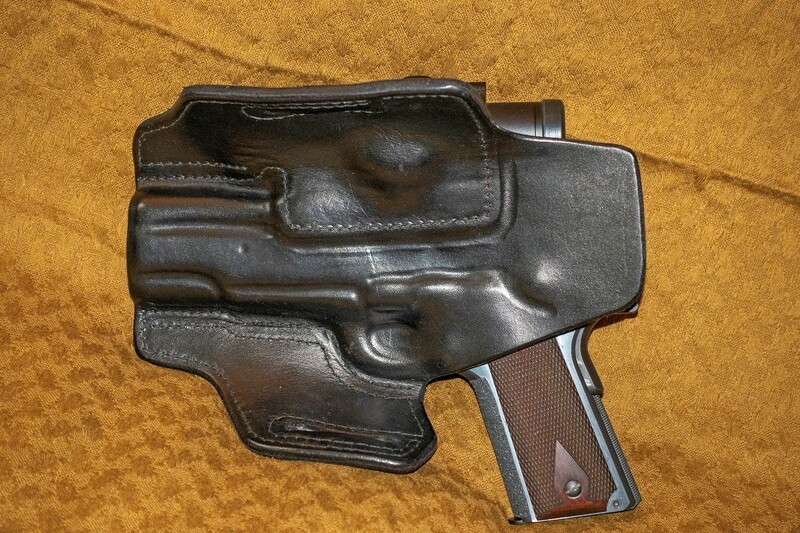 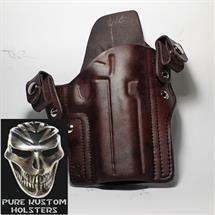 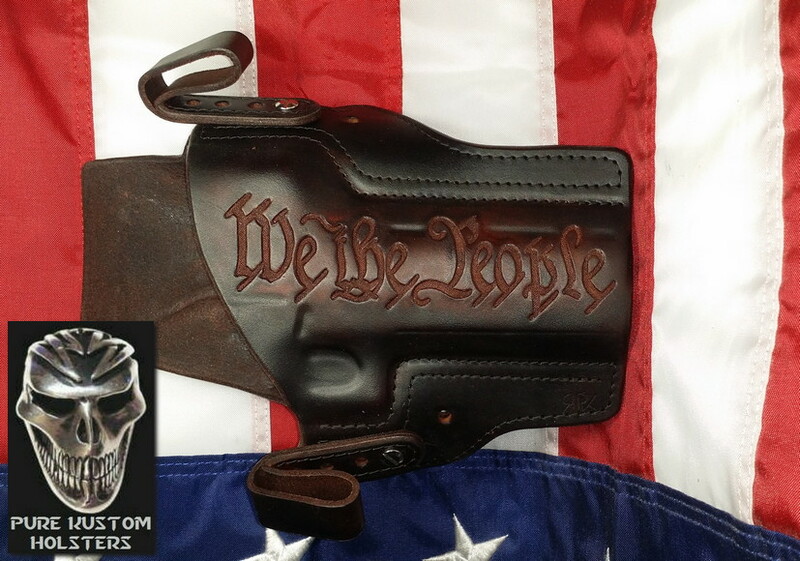 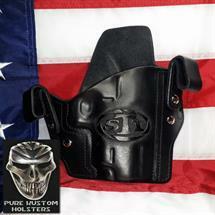 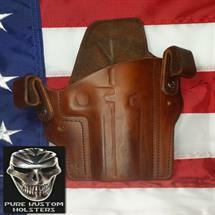 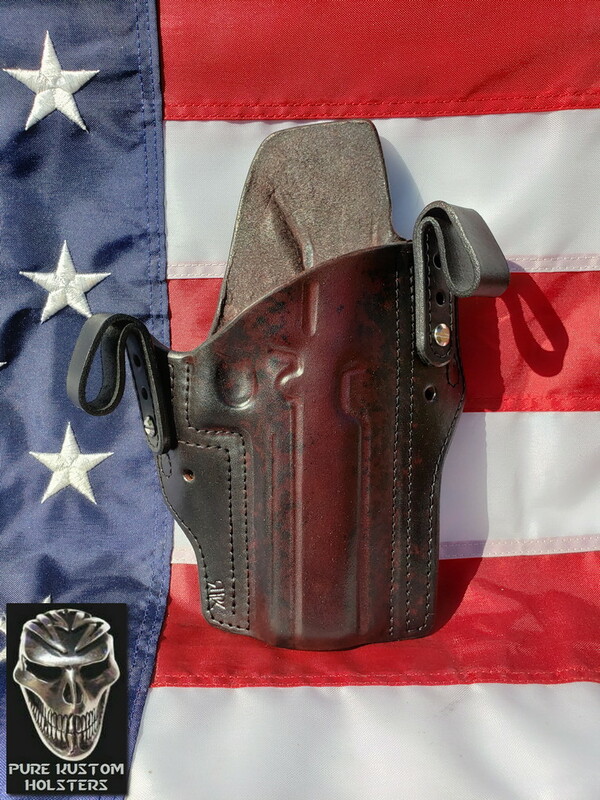 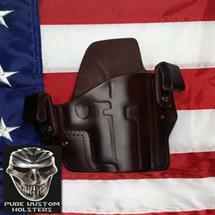 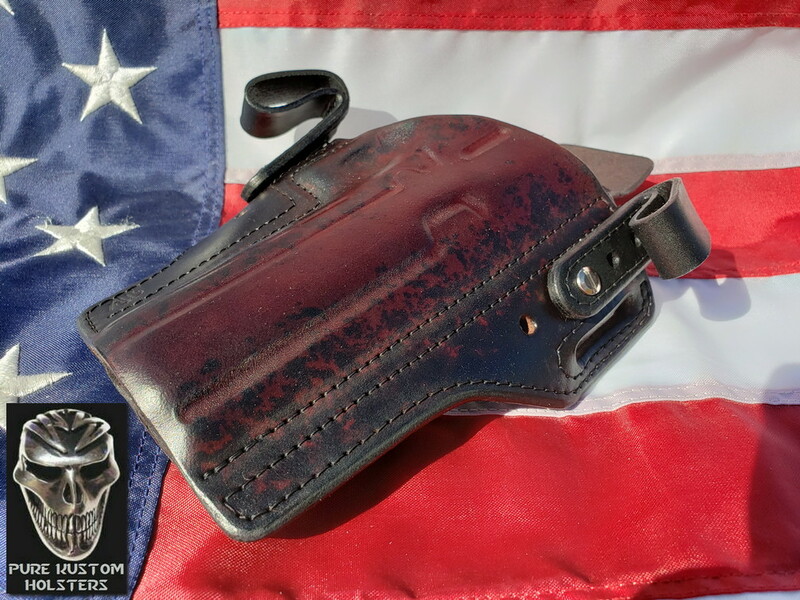 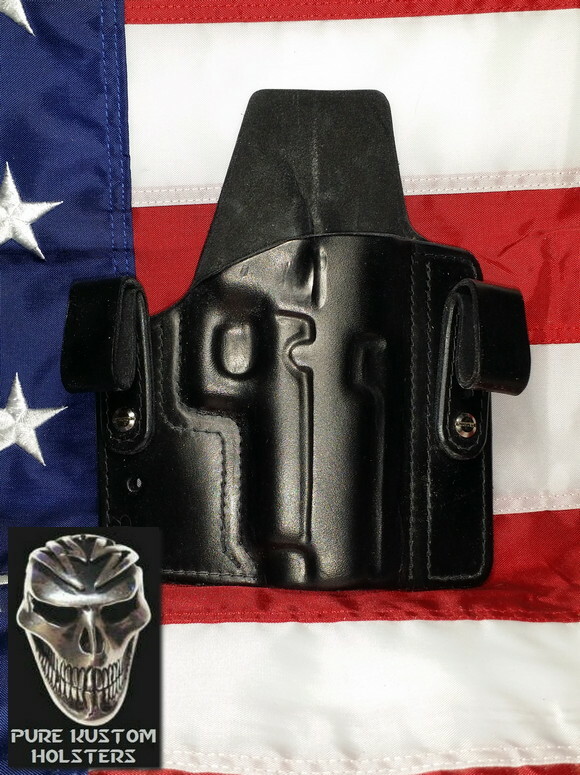 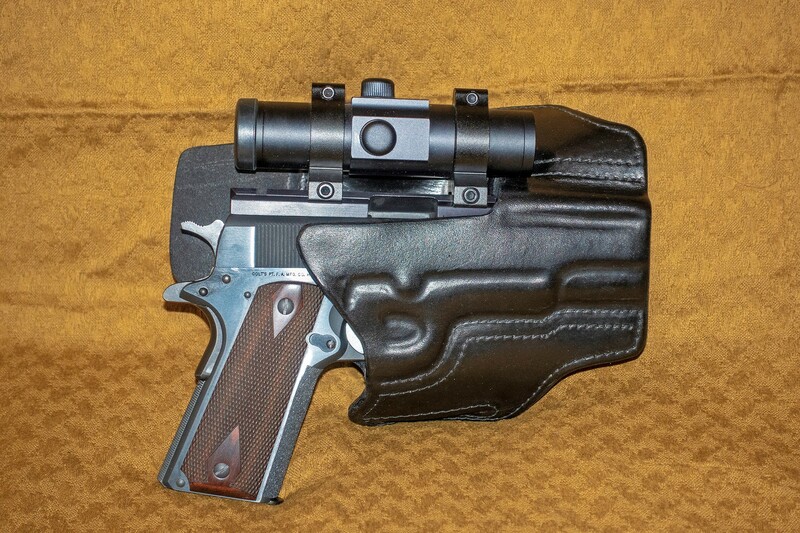 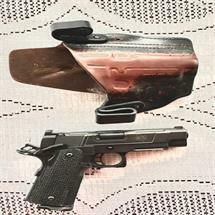 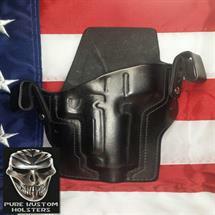 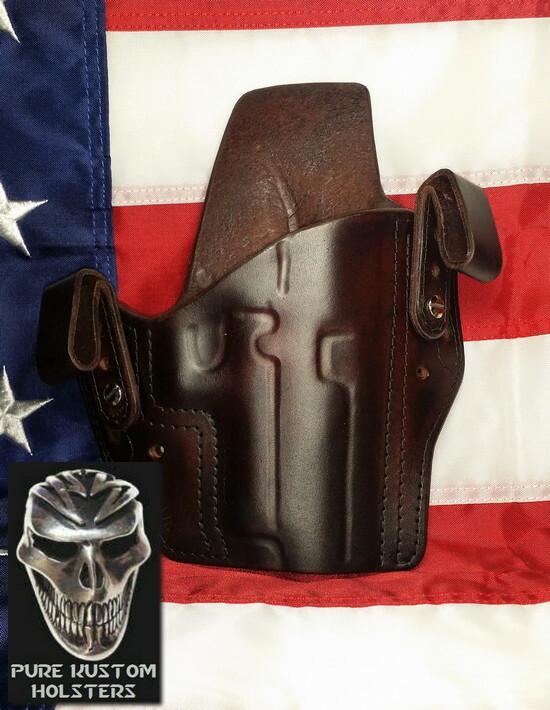 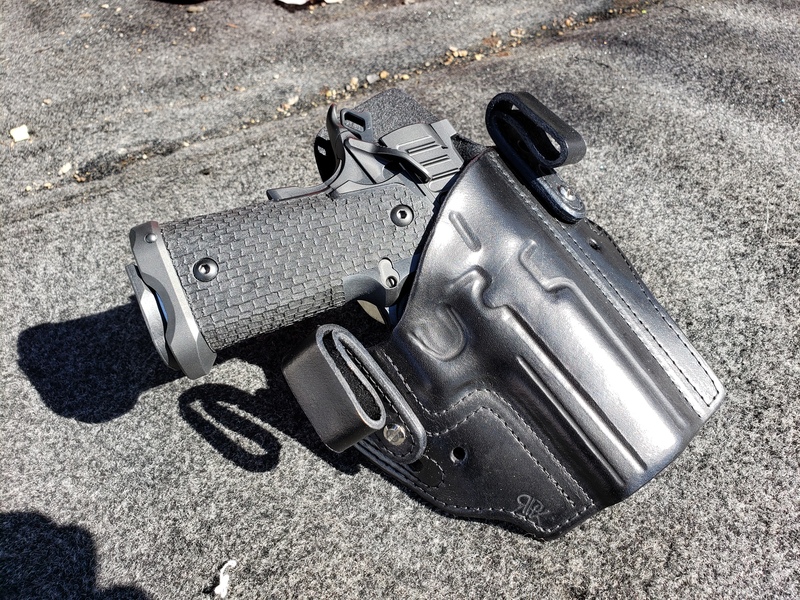 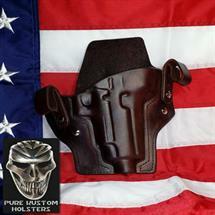 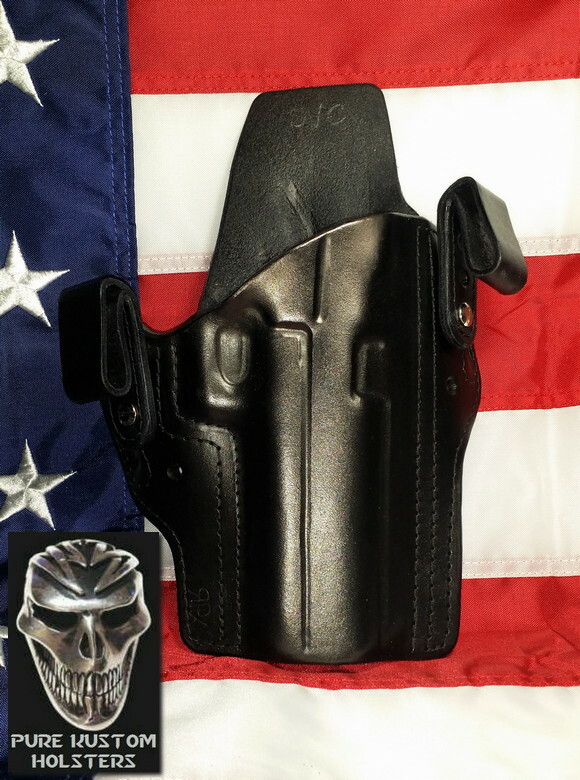 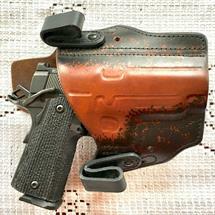 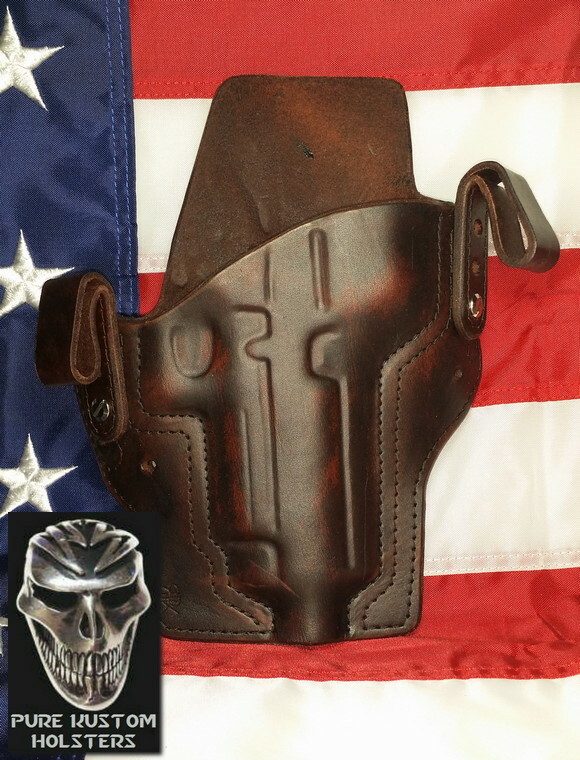 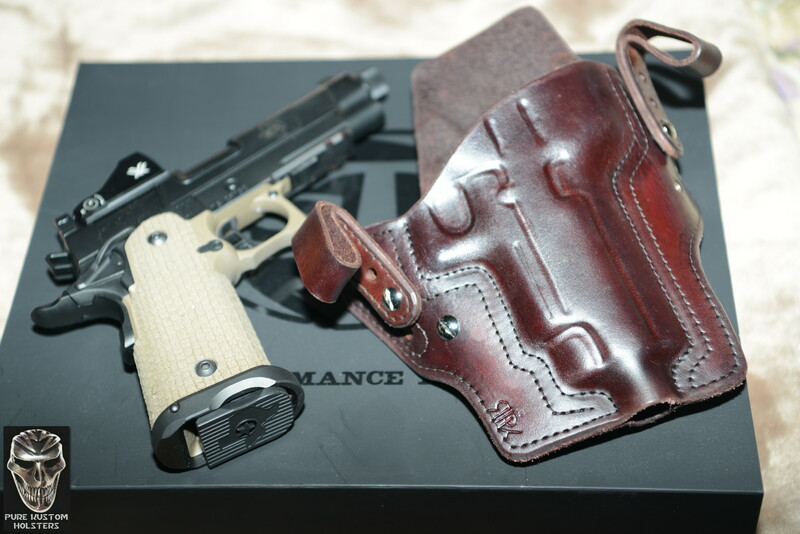 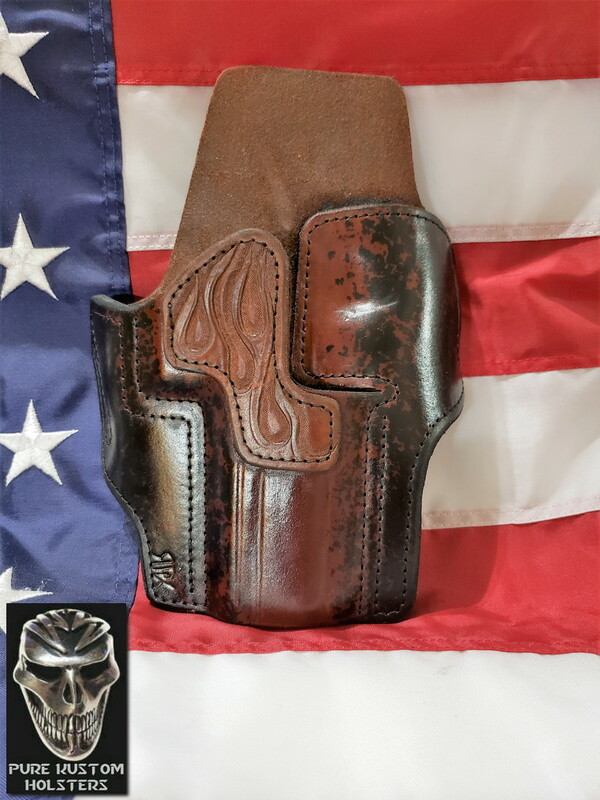 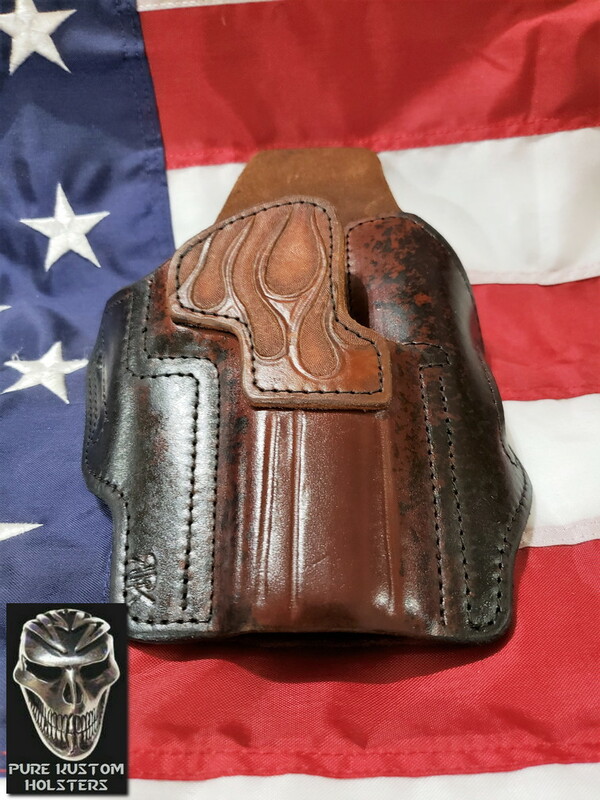 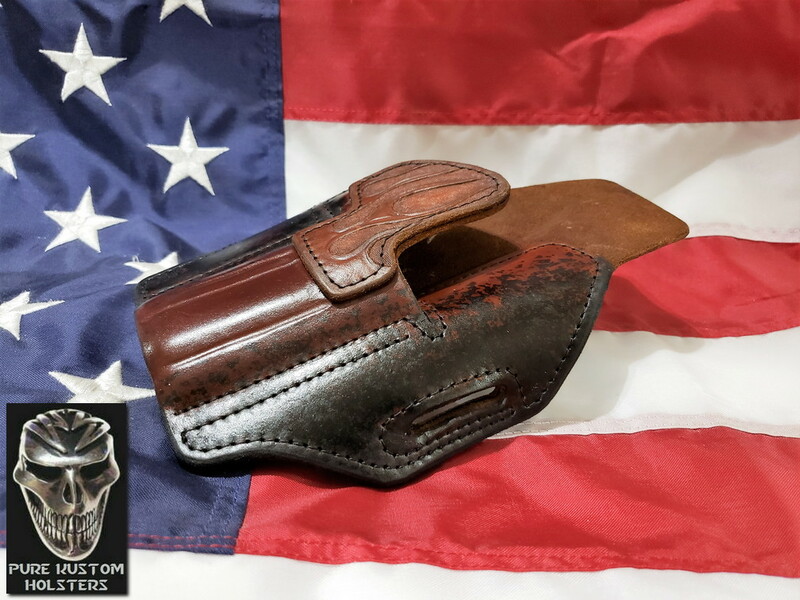 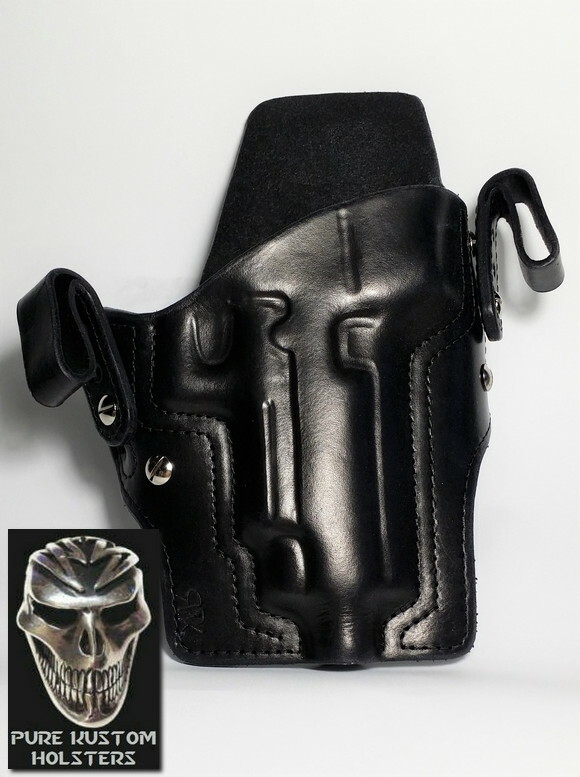 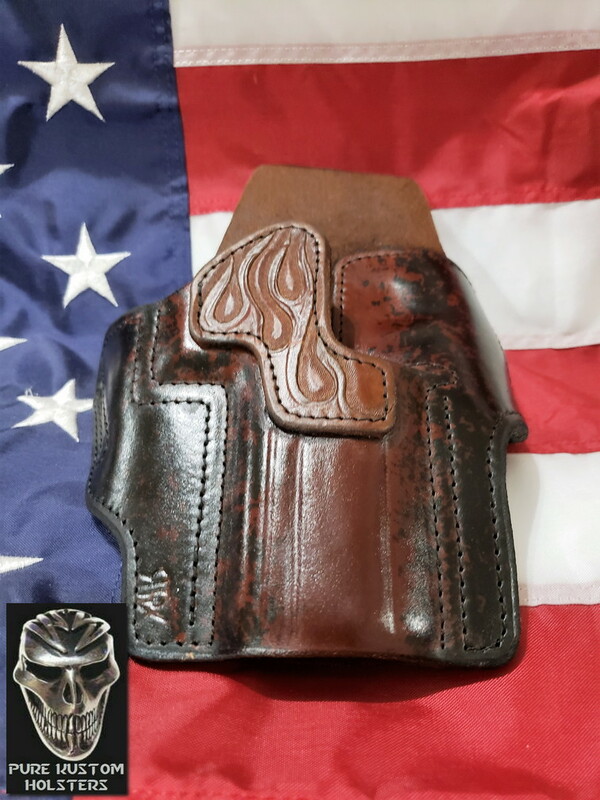 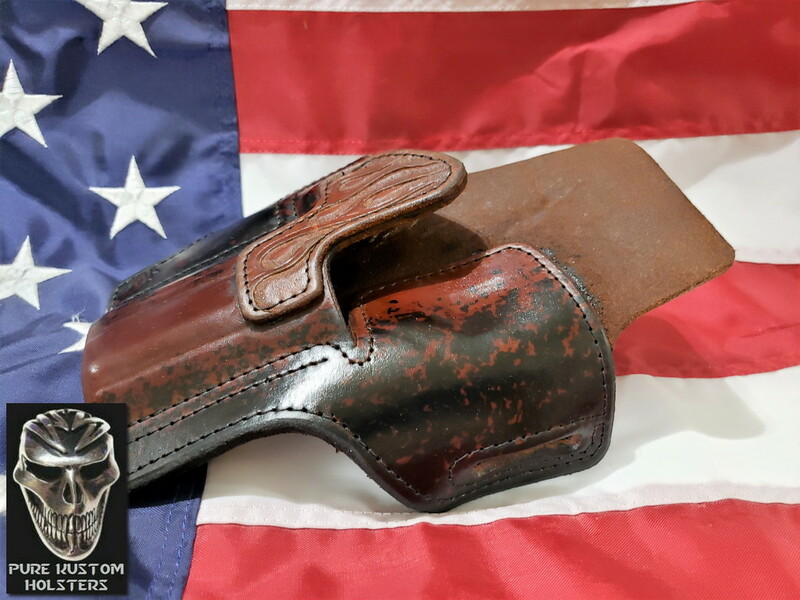 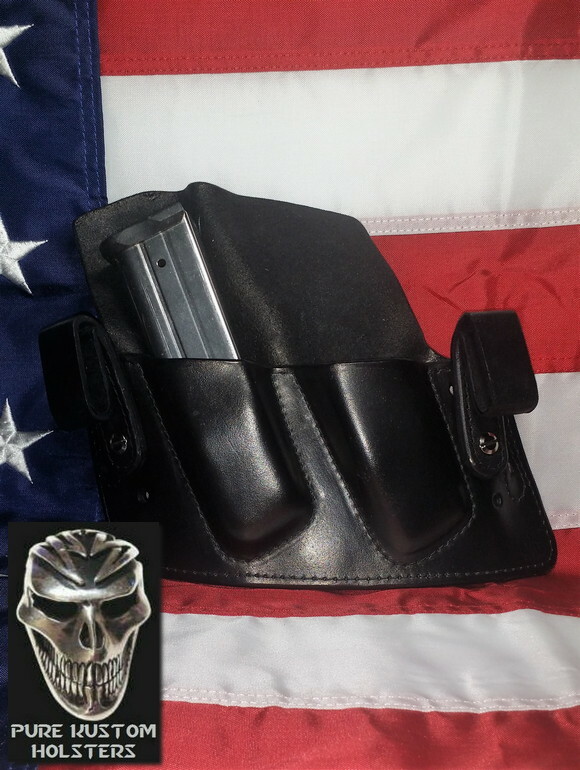 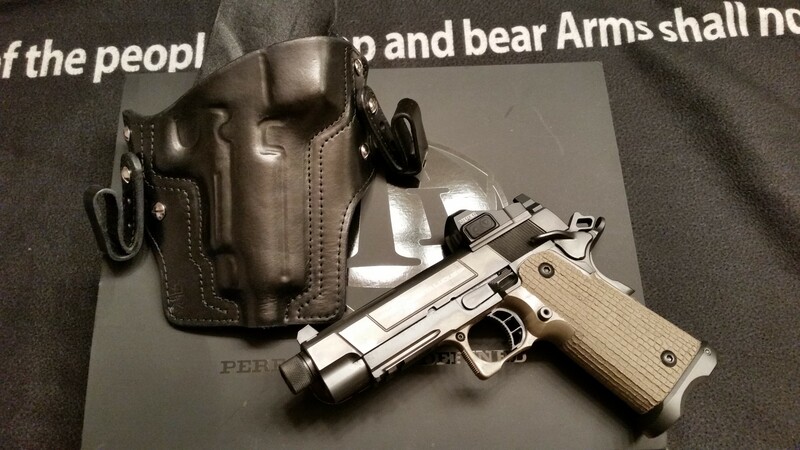 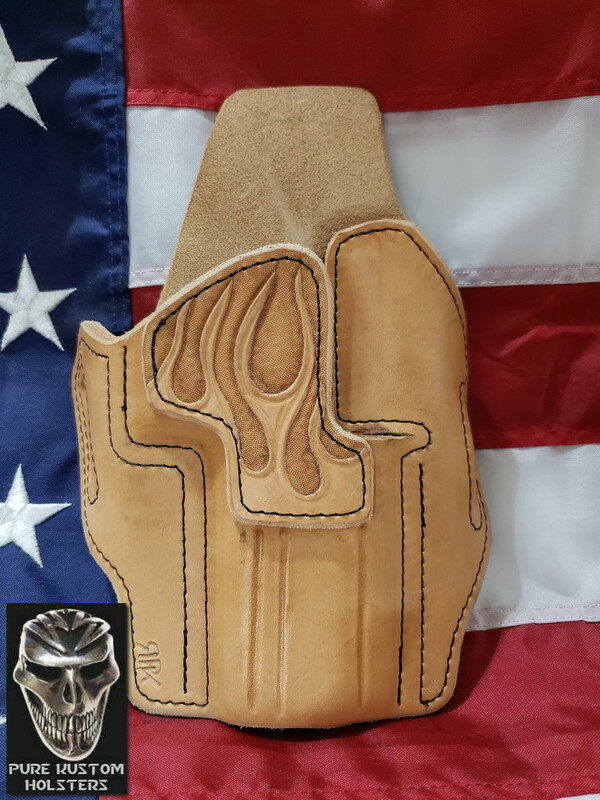 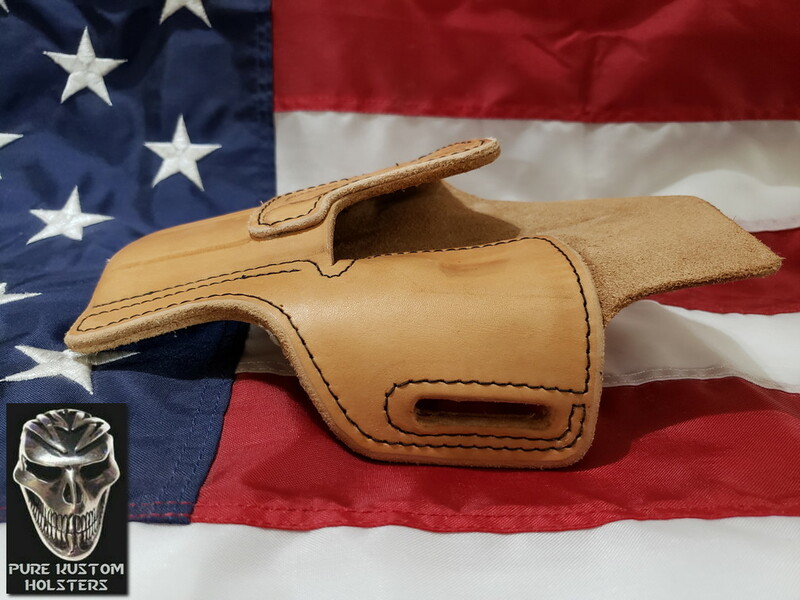 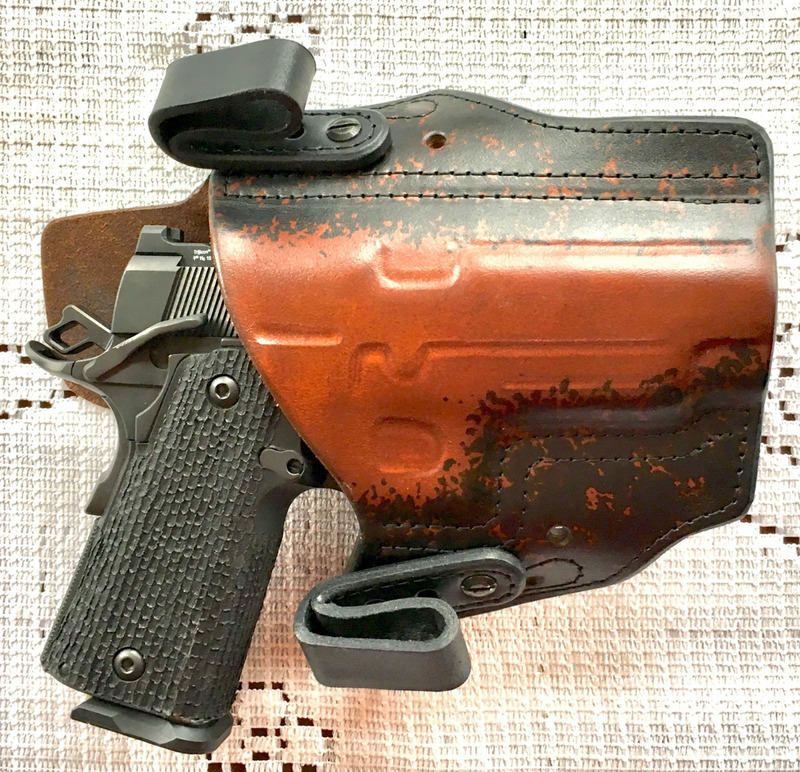 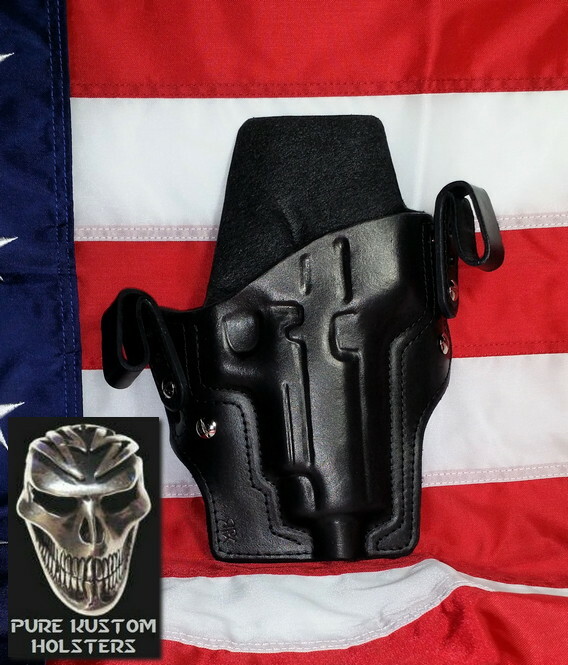 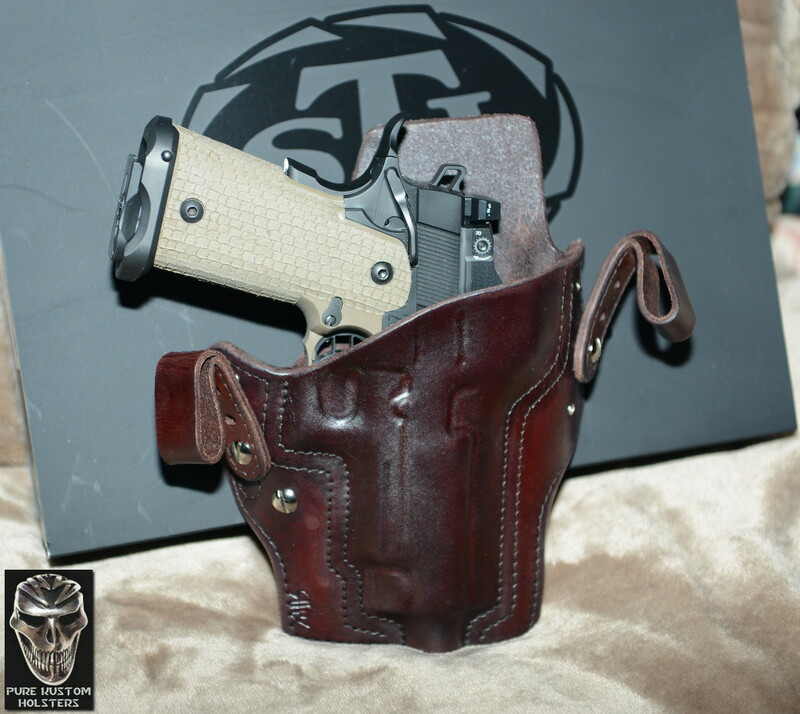 Pure Kustom Holsters home link. I SPECIALIZE IN TACTICAL HOLSTERS. 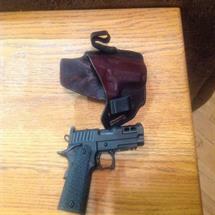 ANY COMBINATIONS / RMR / FLASH LIGHTS / EXT. BARRELS. 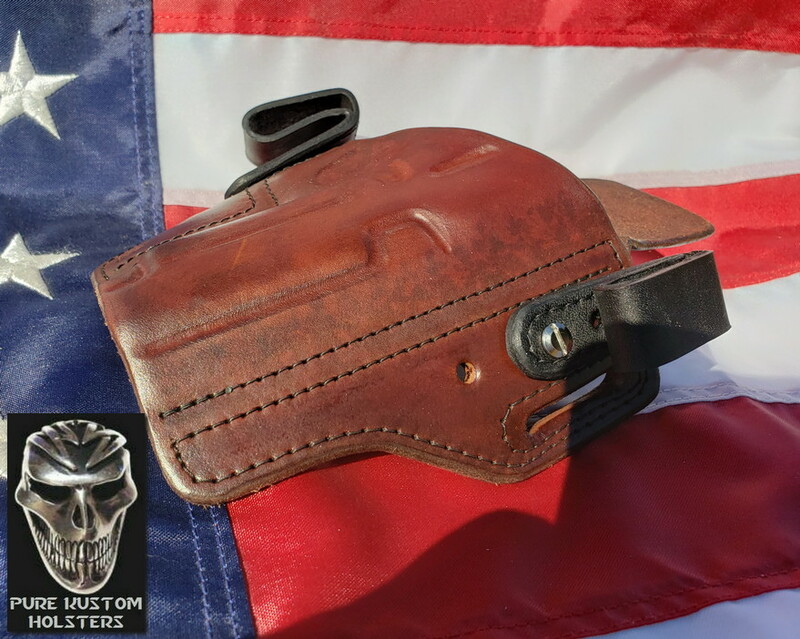 All my holsters go through a 7 step hardening process. 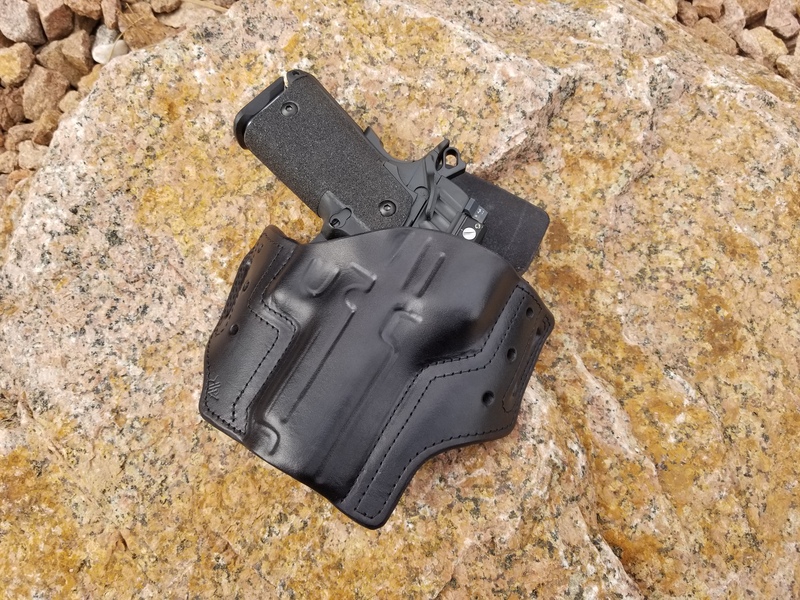 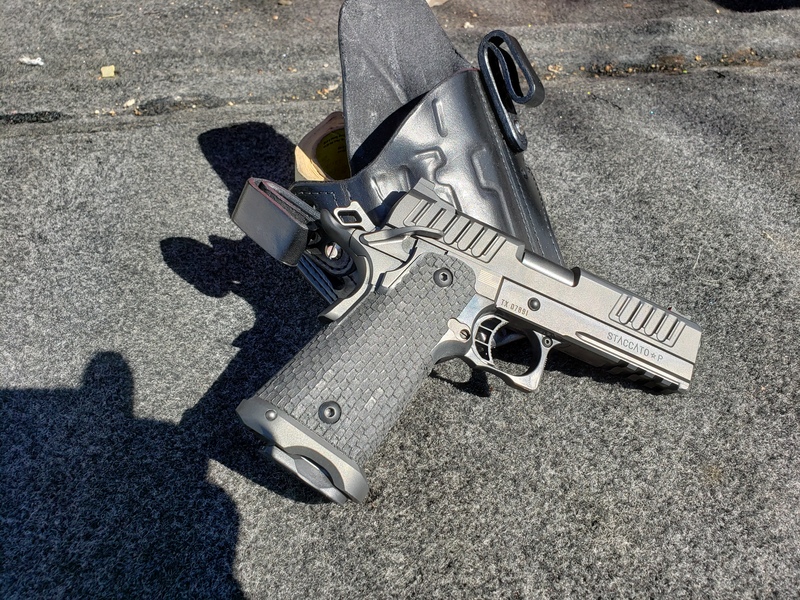 Similar to kydex, But better!